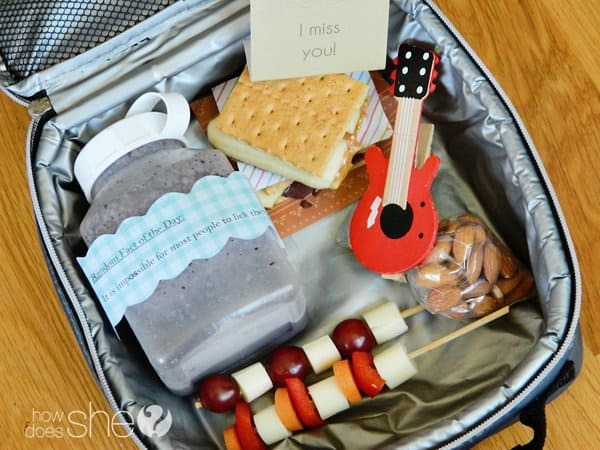 111 Easy to Do School Lunch Ideas That Your Child Would Happily Eat | Homesthetics - Inspiring ideas for your home. A nutritious, healthy and delicious lunch for their child is something that any parent attempts and as soon as our children start school, every fall, we remind ourselves of this goal, everyday we have to pack a little treat for the little ones, it should be something that they would really like to eat, something that they would hurry to eat, full of enthusiasm, a lunch that in return will offer them energy for the day ahead. 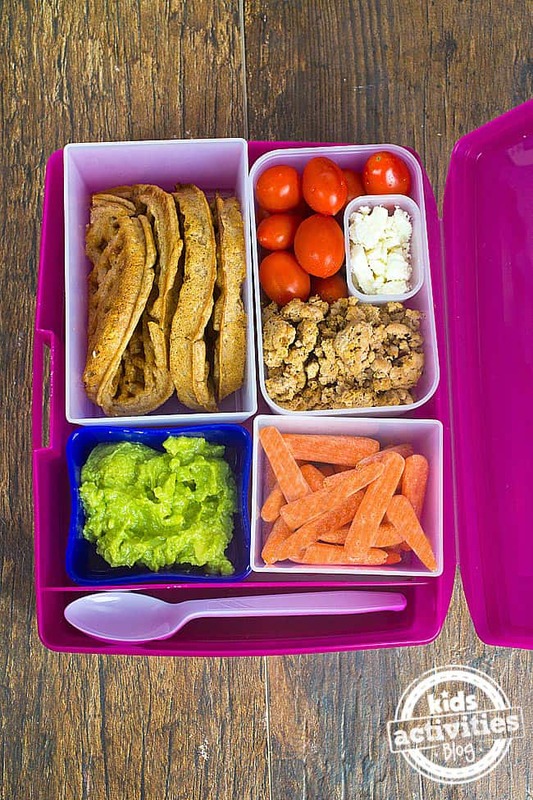 We are here to help, a list of excellent kid-approved school lunch ideas follows. 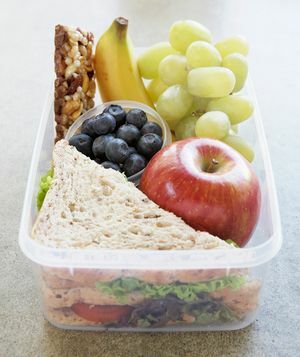 School lunches have to be more than delicious, they need to be diverse, interesting, even playful, if we cannot eat sandwiches all day, kids surely cannot, we need to create very balanced meals, every meal ought to contains fruits, veggies and sweets alike. 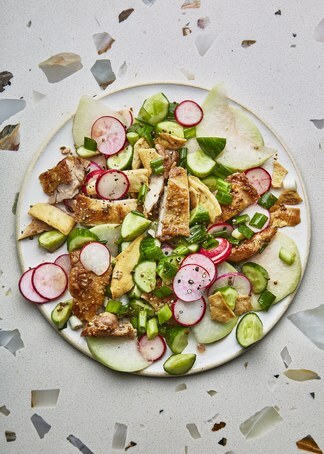 We have curated a list of really exquisite and yet easy to do lunches that vary a great deal in ingredients and preparation method yet they are all balanced, delicious and super healthy ! Cast a glance and surge inspiration, you will surely find a couple of these appetizing ! 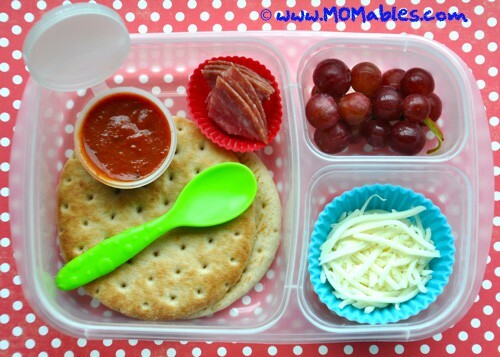 In this recipe the sauce can make and break the lunch for the child. All ingredients are extraordinary taste and healthy yet make sure you have the sauce of his/her choice at hand, he`ll simply love it. A really hearty lunch, greens are balancing the dense mix, almonds make it really crisp and everything simply shouts “healthy”. 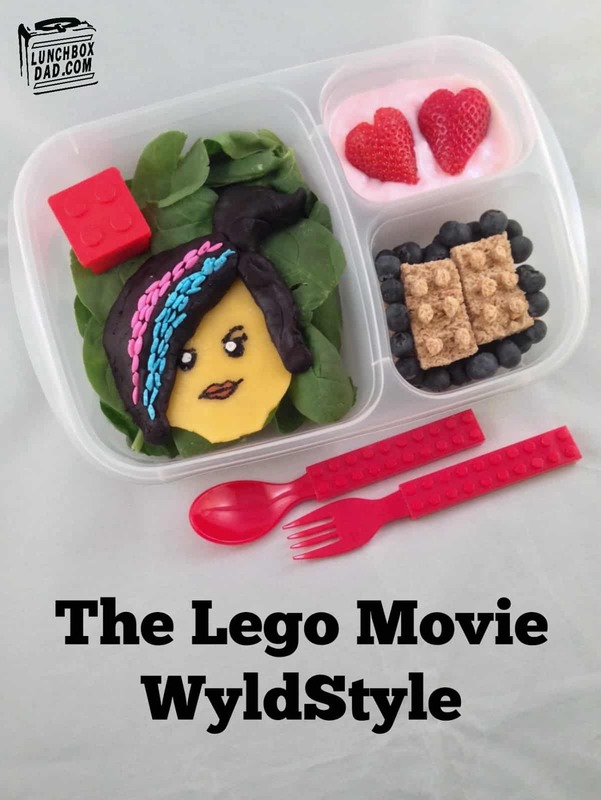 A swift solution that will help the little one take a break from sandwiches and wraps, break the pattern, mix and match, pastas are opening great possibilities. 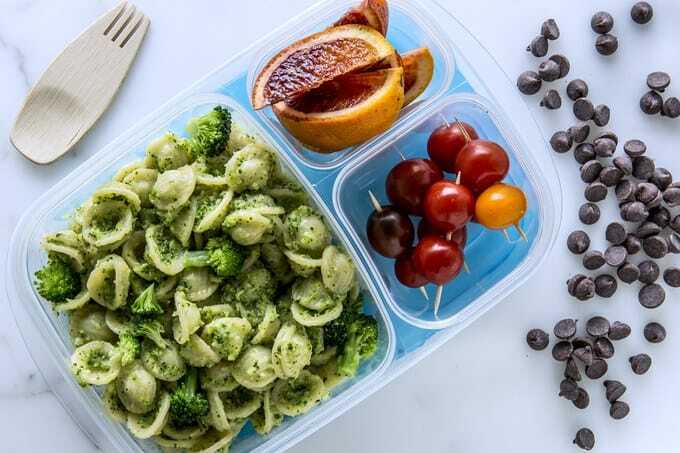 The broccoli is in disguise, thanks to the pesto they`ll hardly ever notice that it is there, the benefits are immense, a healthy snack that the child will truly enjoy. 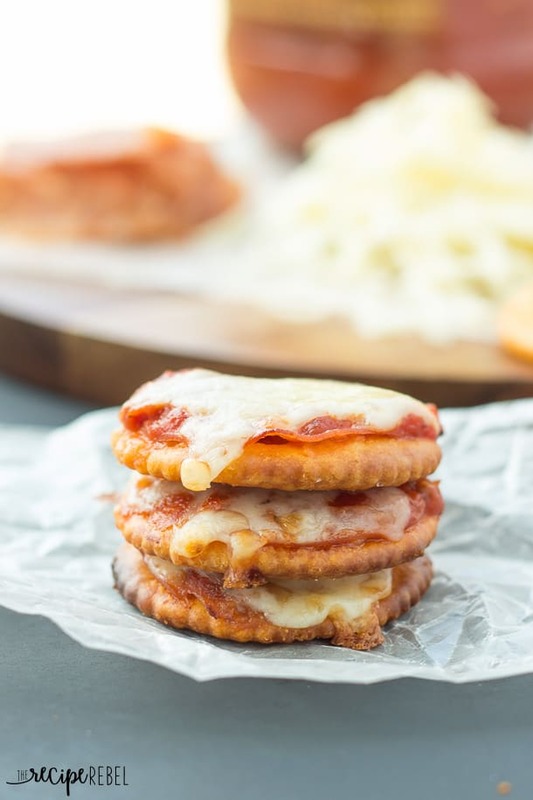 The little league will surely enjoy pizza crackers regardless of the ingredients used. 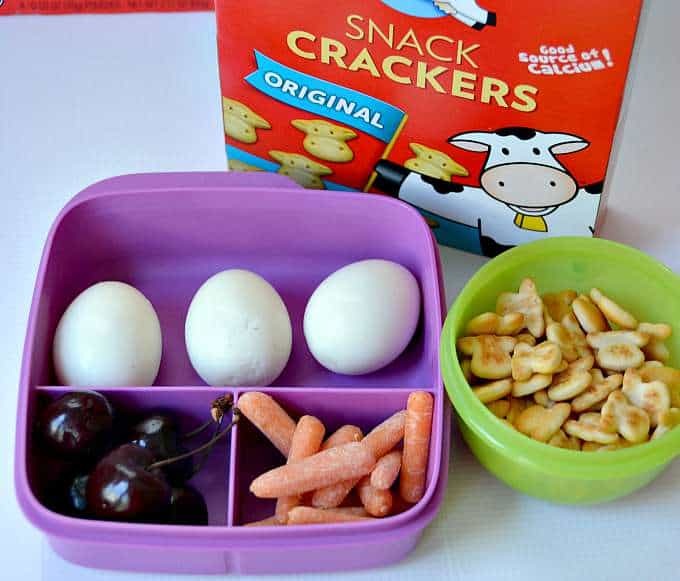 It is your duty to make the snack healthy as well, the small number ingredients makes this a really easy task. A true hit with all kids, regardless of age. 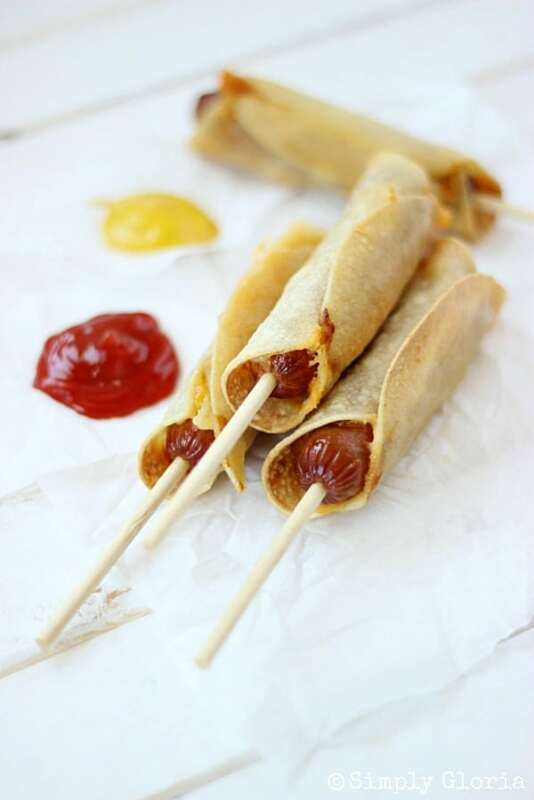 These cheese dogs will be eaten in a glance and they`re super easy to make, attempt to choose healthy ingredients however ! Give them a chance, you will win the day ! 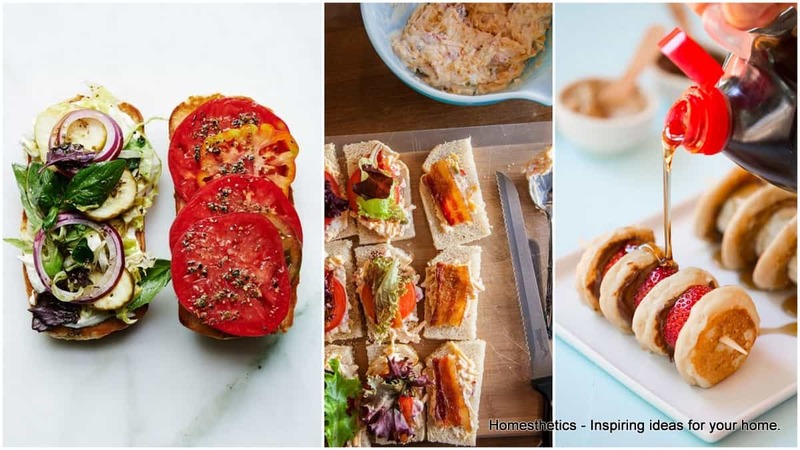 You can mix and match numerous ingredients and win every single time, a great selection lies below, choose the one that you think your child will like the most and slowly try to improve the recipe from there, new elements can enter the sandwich every other week. From time to time, leaving bread out of the school lunch can help and the recipe below, above illustrated will surely make wonders in that regard. 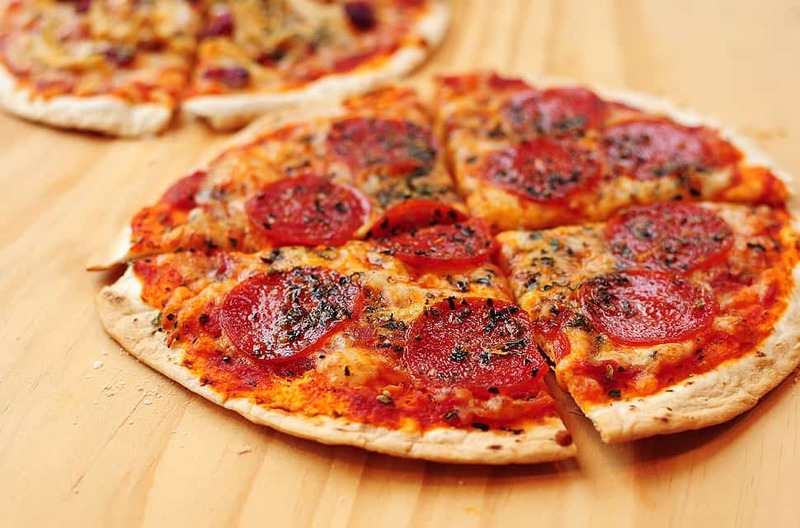 The epic bites of pizza can be a great solution for your next kids party too. 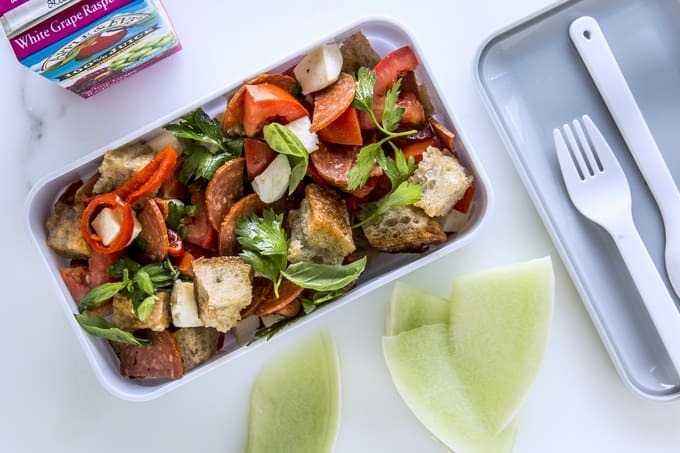 A really practical lunch idea as it can used leftovers salami, vegetables and crusty bread, simply make sure not to skip the tomatoes and spices, basil can be a great addition ! 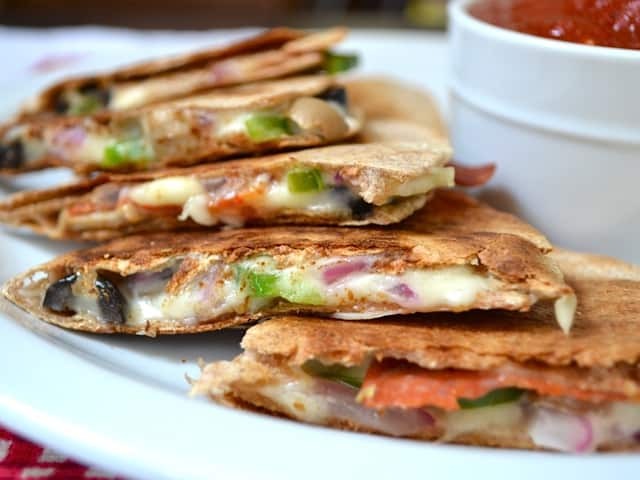 Adults and children alike love pizzadillas, they can make a great snack; the funny name will also make them catch on quickly. 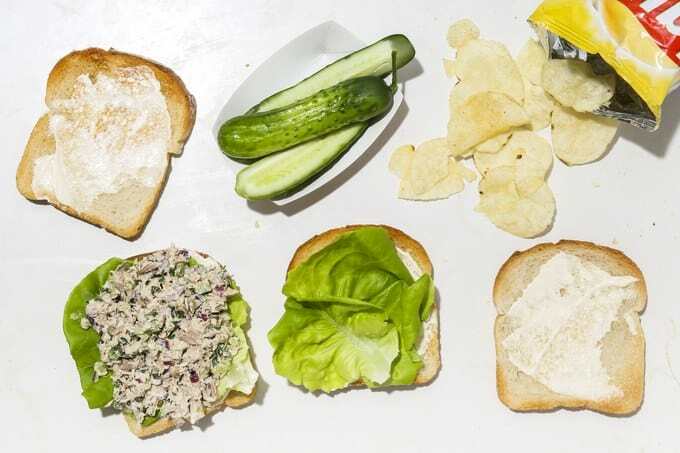 Super simple to realize, super fresh and insanely healthy, just make sure you drain the tuna can really well by pressing the lid over as much as possible, the great texture will remain and you`ll kid will have an immense smile in the lunch break. 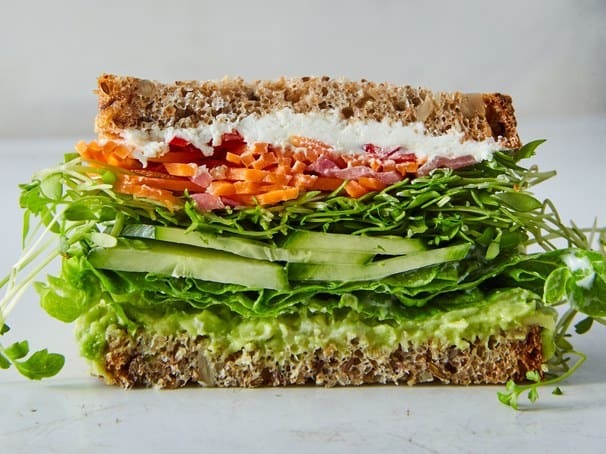 Sandwiches can be replaced with individual components that work brilliantly together; in this discussion, fruits ought to be always present, peanut butter is also an extraordinary treat loved by children worldwide that can go pretty well with a bagel. We would suggest replacing the bagel with something healthier based on cereals, a healthy oatmeal bar for example. Spain`s legendary tapas can take many shapes and a great deal of them can be nestled in your child`s lunch, in these tortillas there is always room for variation, play with it. 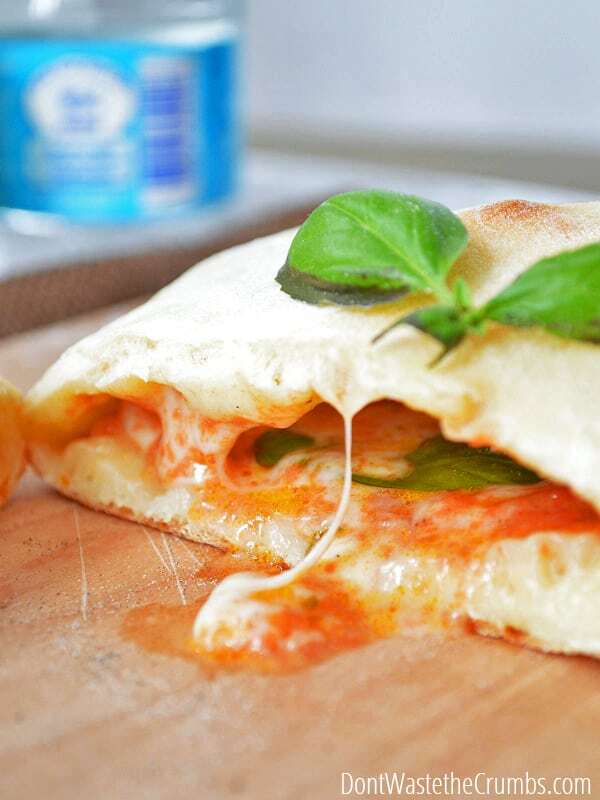 The taste of pizza is beloved by the entire world, imagine this awesome taste infused in these small bites, the kids will love it ! 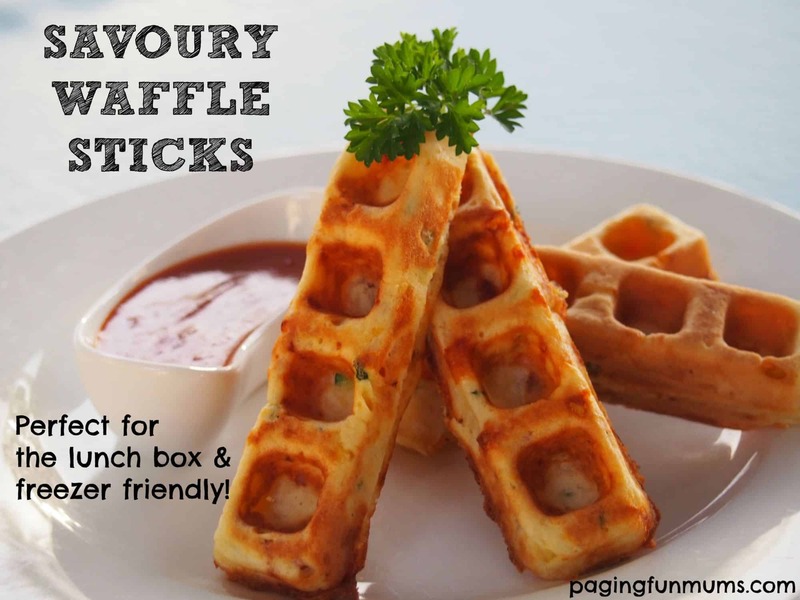 These too can make great snacks during a party with ease! 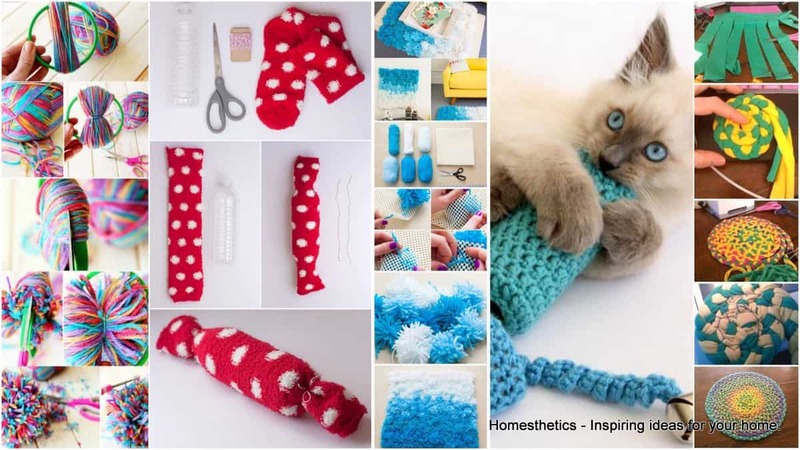 Happiness is indeed homemade and the image above clearly portrays how you can have it to go too ! 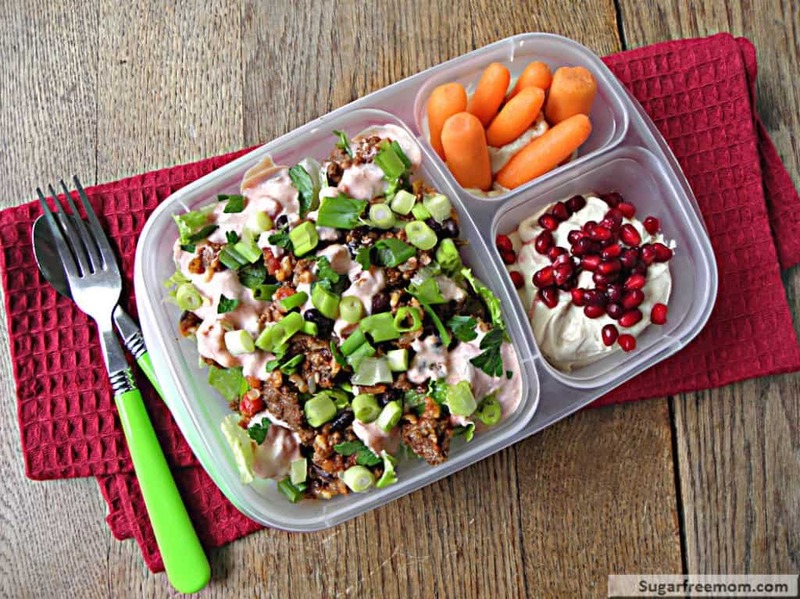 A quick homemade salad for your kid`s school lunch that surely cannot wrong you, give it a go ! Leftovers from your meal can make extraordinary lunch options for you little one, especially if the dish is one of his favorite. Simply get some good bread and prepare a healthy burger. Few things can outrun this combination, it will be crisp and soft, grilled and fresh at the same time. 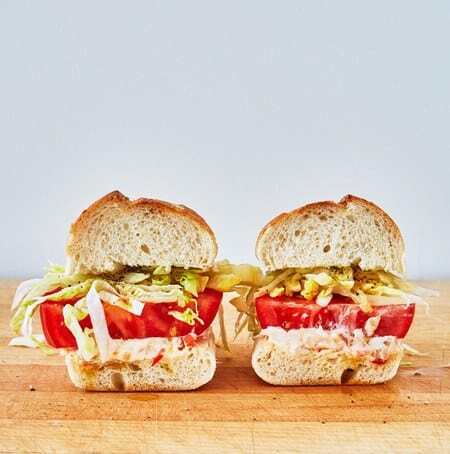 You can wrap this sandwich in lettuce and you`ll redefine the school lunch altogether ! 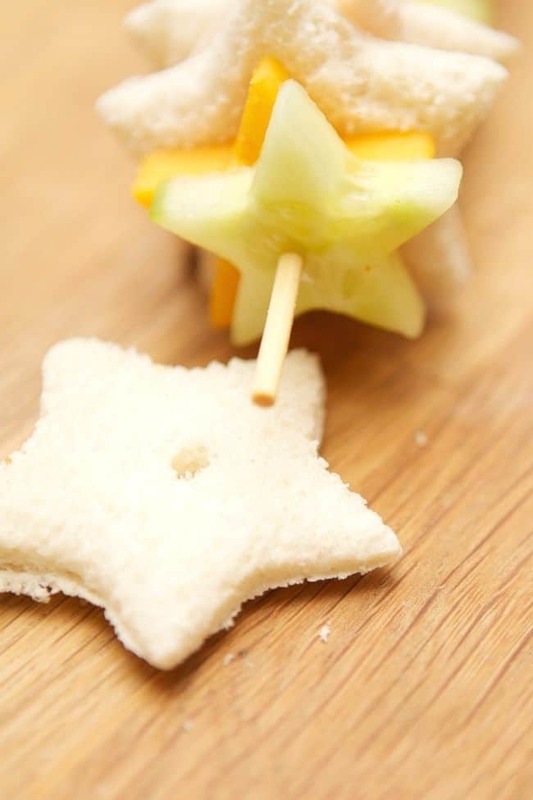 Fruits can go great on sticks, they can be easily eaten and by using a funny cookie cutter to shape them can make them even more appealing to kids. The same principle can be used to insert veggies, meats and cheese on a stick thus creating sandwiches on a stick with funny shapes. 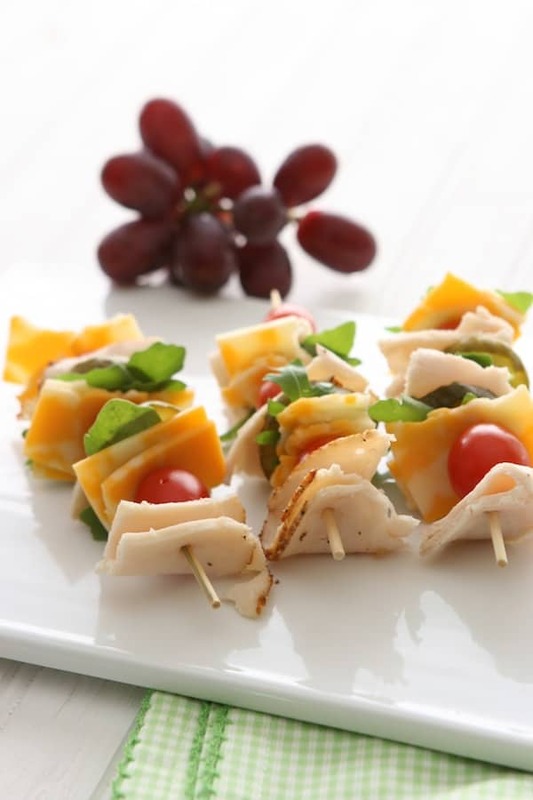 Tidy rolls of your kid`s favorite cheeses, meats, sausages can go brilliantly with crackers. A complete meal would also include the fruits and veggies of choice. 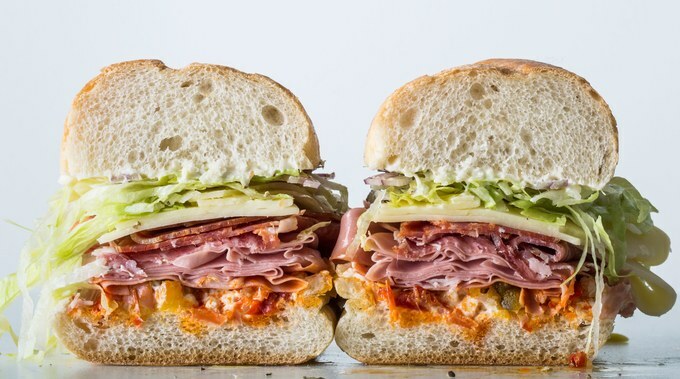 Meat can sometimes catch a break, veggies rightfully combined can make extraordinary dishes and the hoagies above are simply splendid. You will probably have to play around with the proportions to create something easier to eat in the lunch break but the balance between these veggies is brilliant and should not be overlooked. Really swift and tasty solution to serve the fruit of choice. Cucumber, rice, guacamole, crackers, pineapple, you name it ! Everything can work, all you have to is to ensure that all of them are healthy ! 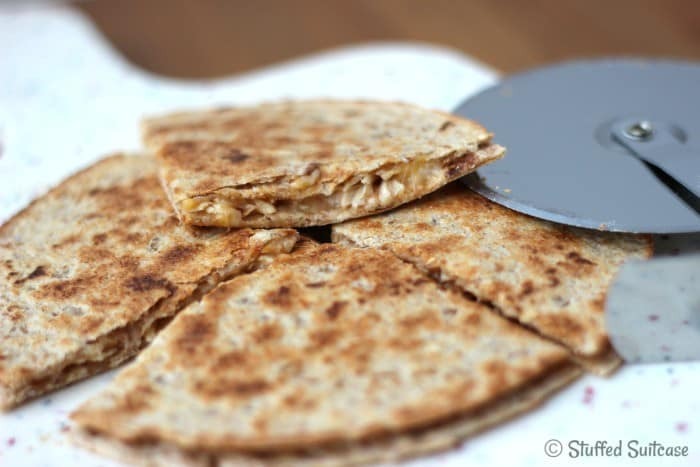 Swift, really tasty and full of energy, a snack that your child will enjoy to the last bean. 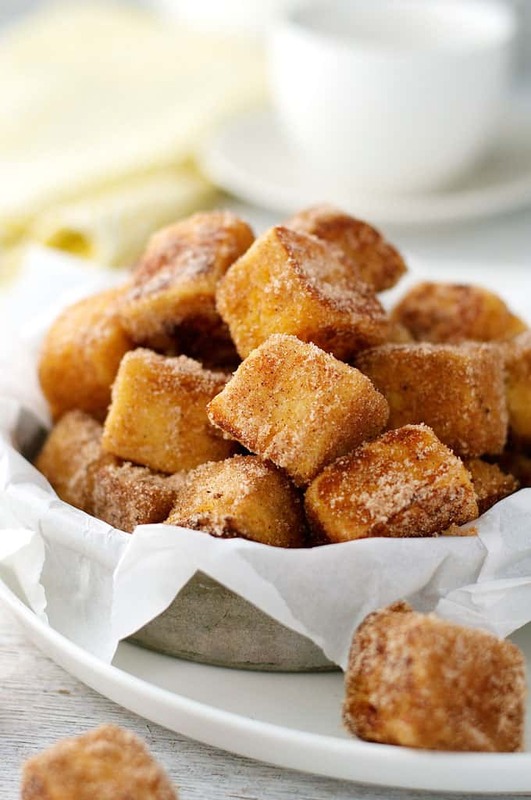 These are one of the least healthy snacks in our list yet one might argue that cinnamon is healthy and that sweets in increments will not harm anyone. A sweet treat every now and then will surely be appreciated by the little ones. A solution for doers, a really kid friendly, playful solution that would invite the child to balance his small pizza as he pleases. Cast a glance at the image above, any other description would fail to make this small dish justice. The brilliant solution, while sweet, will bring immense joy to adults and children alike despite its unhealthiness. What do you think about these ? 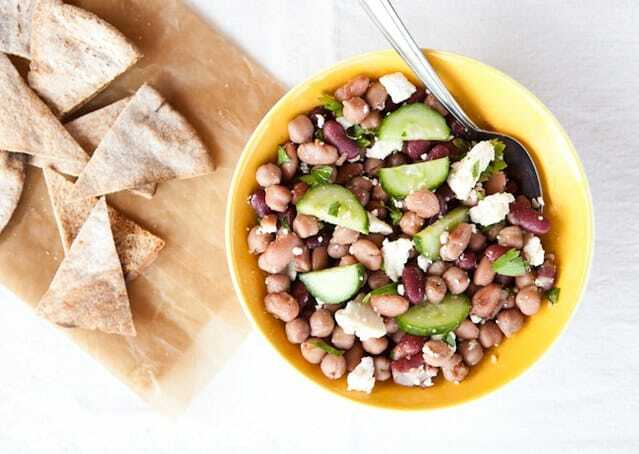 Chickpeas, cucumber spiced, pita and maybe some feta cheese if your little one agrees. Fruits can be the cherry on the top. 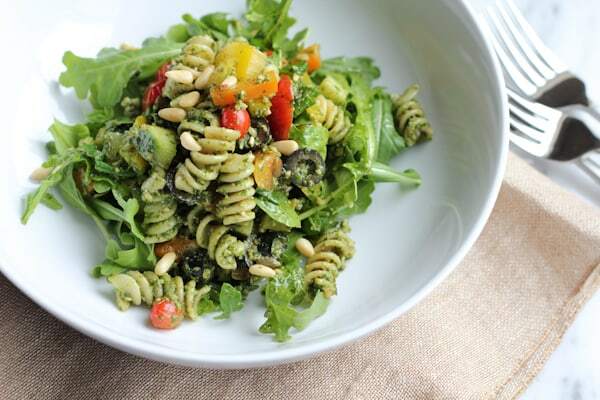 An extraordinary tasty and healthy salad combo to pin in lunch calendar. 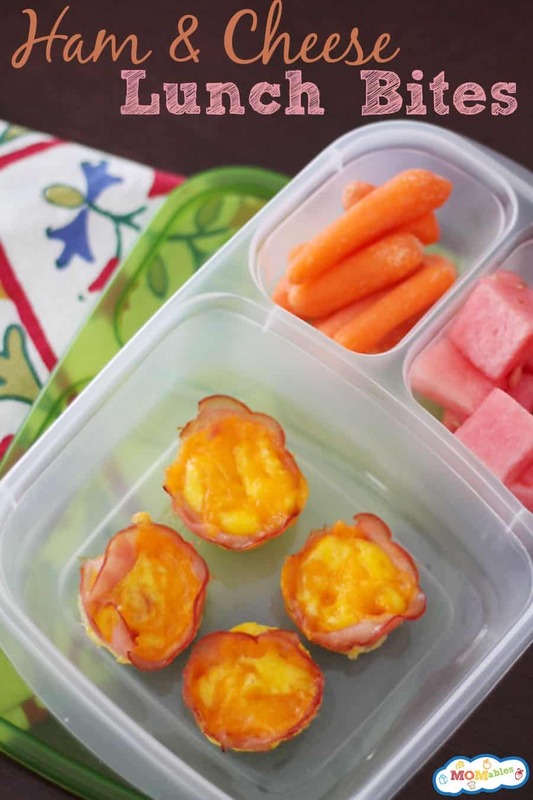 A lunch break that includes bacon, cheddar, eggs in one phrase is a happy school lunch, an extraordinary healthy happy school lunch one might add. It is that easy ! Your local butcher might sell Mexican Chorizo too if your fridge is not holding it already. The recipe below, illustrated above presents balance in a really tasty snack that you will surely “test” two three times whilst preparing it for the children`s lunch. 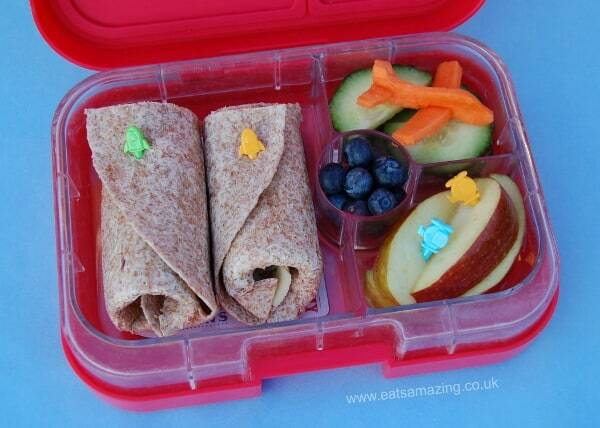 You can find out in a couple of seconds what you ought to pack in your child`s lunch. Cast a glance ! 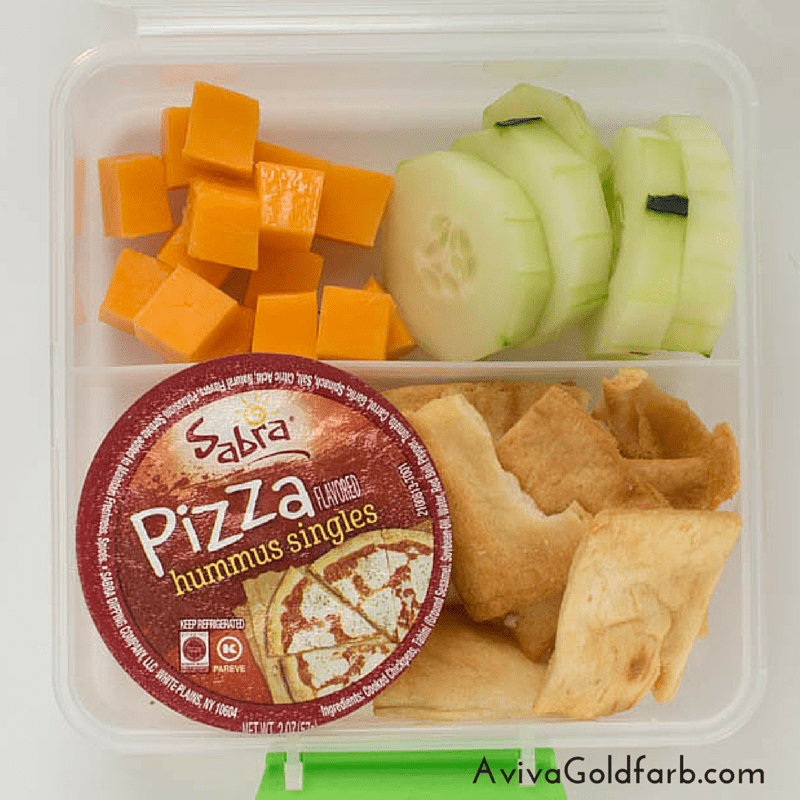 Plenty of protein and fiber in one fun school lunch box, if one is skeptical about pizza flavored hummus, one simply has to try it out first. 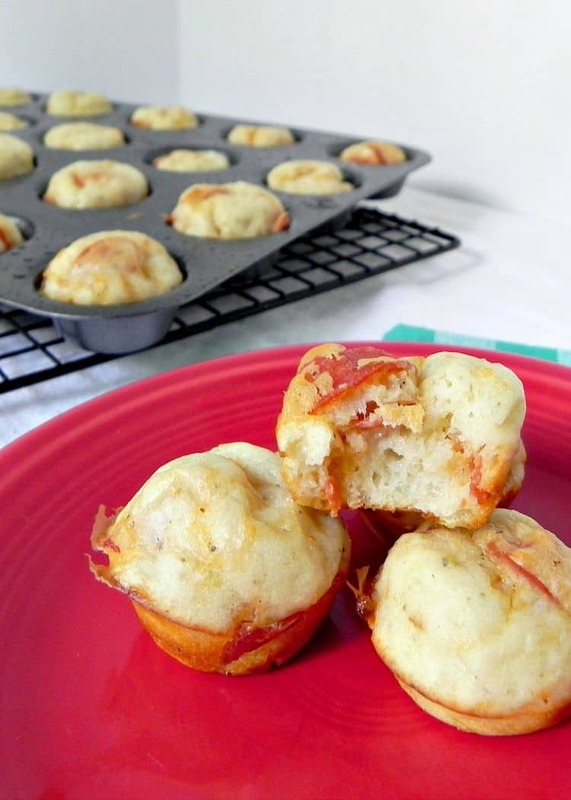 Small baked bites of ham and cheese will surely work a great lunch, kids will love it ! Mix them with fruits and fresh orange juice for some epic feedback. Colorful homemade delight that looks really appetizing, one that might not be every kid`s cup of tea considering the immense amount of veggies and yet again one that can be easily transformed into something really tasty with the right sauce, the right dressing. 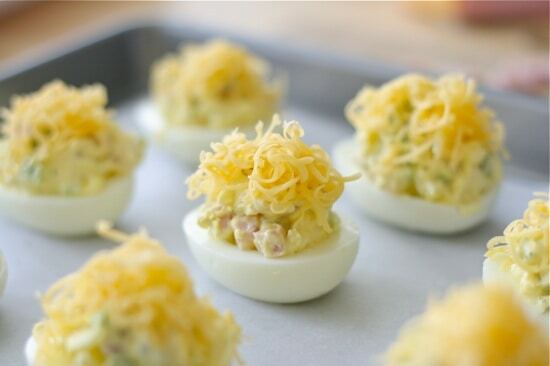 A huge intake of protein in a healthy, fresh snack. In the link bellow, Camille from Growing Up Gabel included a great selection of mixed meant to satisfy the picky eater in the little league, we invite you to browse through them. The possibilities are endless, literally, anything can do. 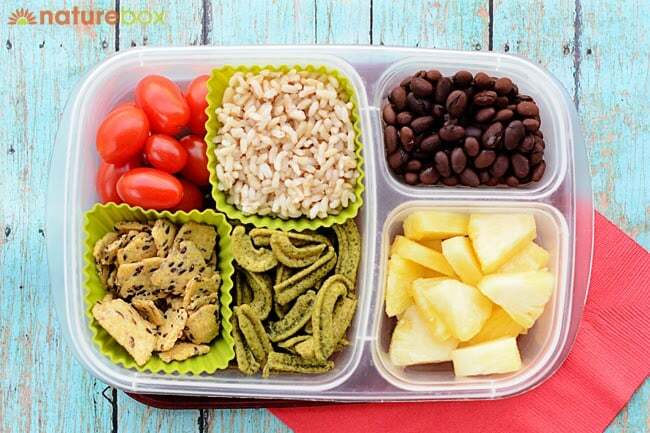 Choose healthy ingredients, choose stuff that your child really loves and you cannot go wrong. Leftovers integrate greatly here. 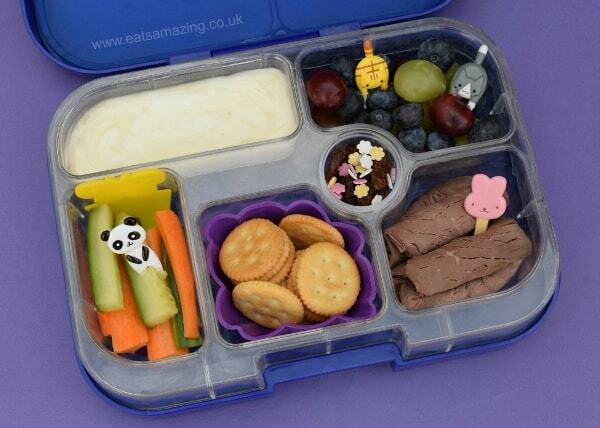 A neat, incredibly fast solution perfect for your child`s lunch and happily, freezer friendly. I personally would avoid the freezer at all times thus recommending fresh food yet we all know how reality works, we need that back up from time to time. 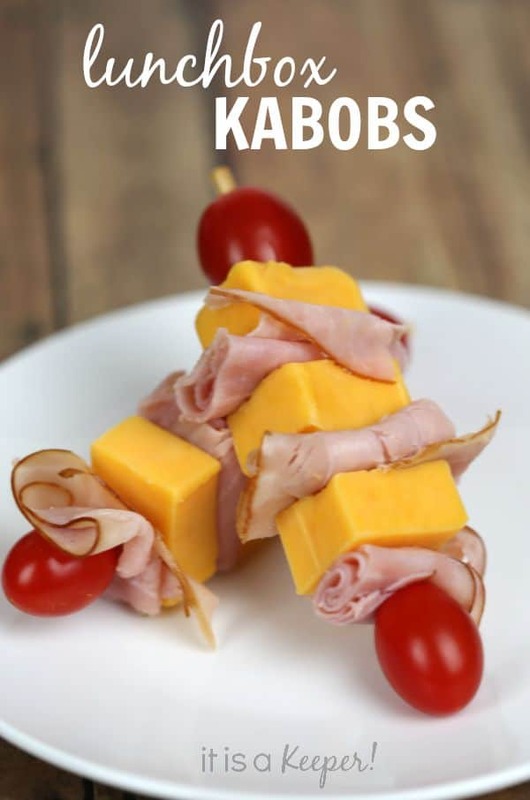 Sandwich kabobs can hold whatever combination that you see fit, the great advantage is that they simply remove the need to add bread. 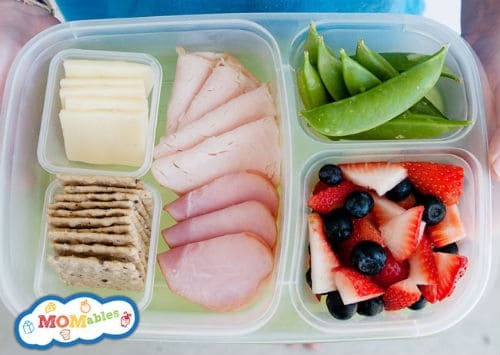 Use fruits, meats, veggies, choose everything that your child loves and create balanced lunches. Colorful, healthy and as fresh as it can get ! 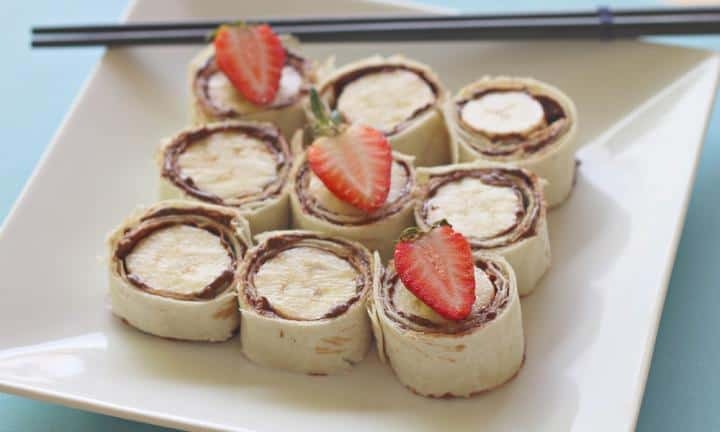 These fruit wraps can be extraordinary deserts that you and your little one will definitely enjoy, it goes without saying that they are also super easy to make ! 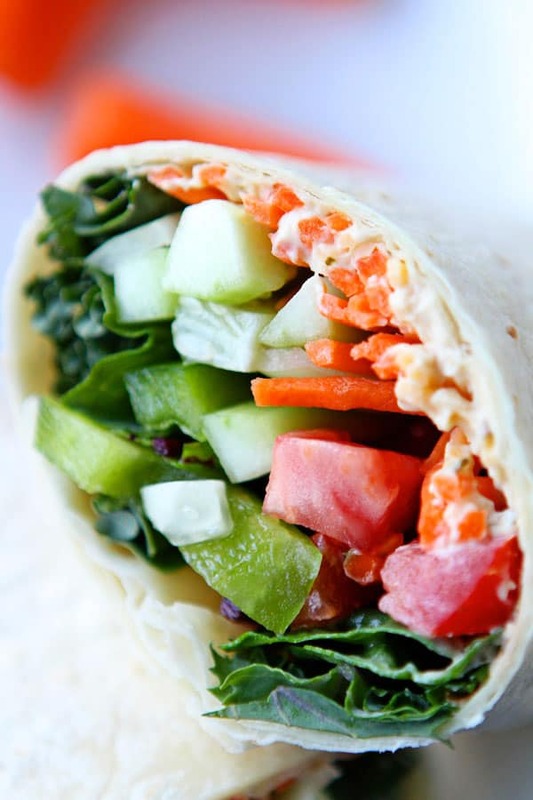 Grilled chicken and everything else you feel it fits in a fluffy pita and you are good to go. 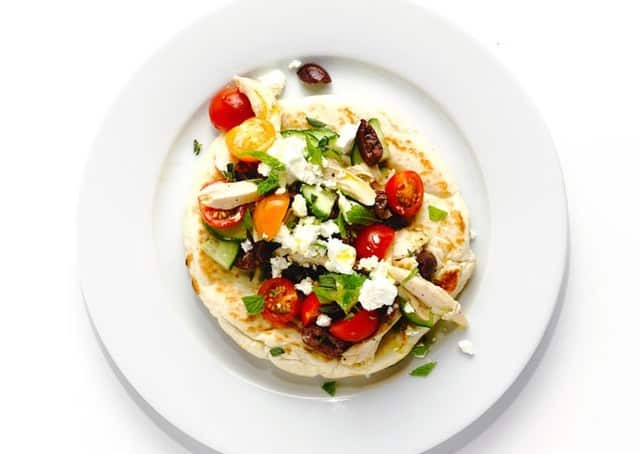 A really easy way mix and match elements, simply make sure that greens are present along the grilled chicken and everything will work; feta cheese and tomatoes would do great in the mix too ! 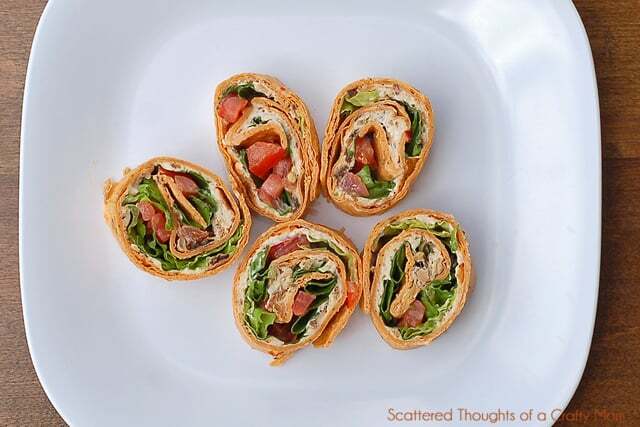 These really appetizing rolls need no introduction, they are easy to realize and they make great great lunch snacks, they can be paired with the veggie and fruit for a complete, healthy meal. A fluffy, freshly baked croissant is able to transform that regular sandwich into something really unique, extraordinary tasty. 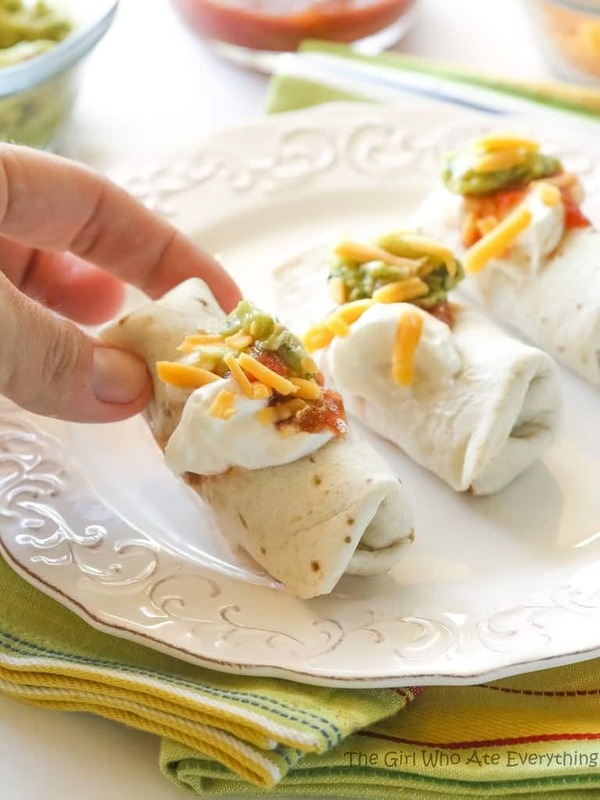 Whether they`re vegetarian or not, taco wraps make great great sense in school lunch, they are easy to do, they`re super healthy and they`re loved by kids everywhere. Pair them with fruits and you will have a great lunch. In the meal above mini muffins are also included, an additional sweet that one might to overlook due to the sugar contained. 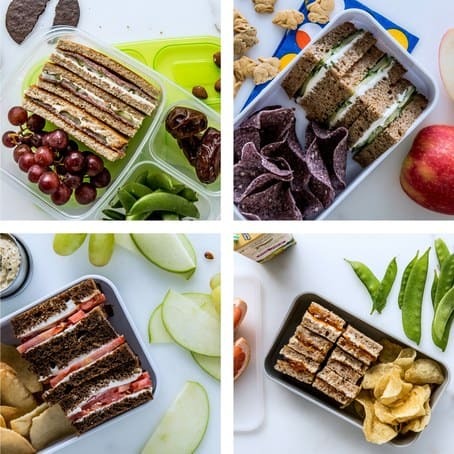 It contains cream cheese, spinach, pesto, artichokes and sun dried tomatoes, a really rapid sandwhich for vegetarians that can happily be nestled into the little ones lunch box. 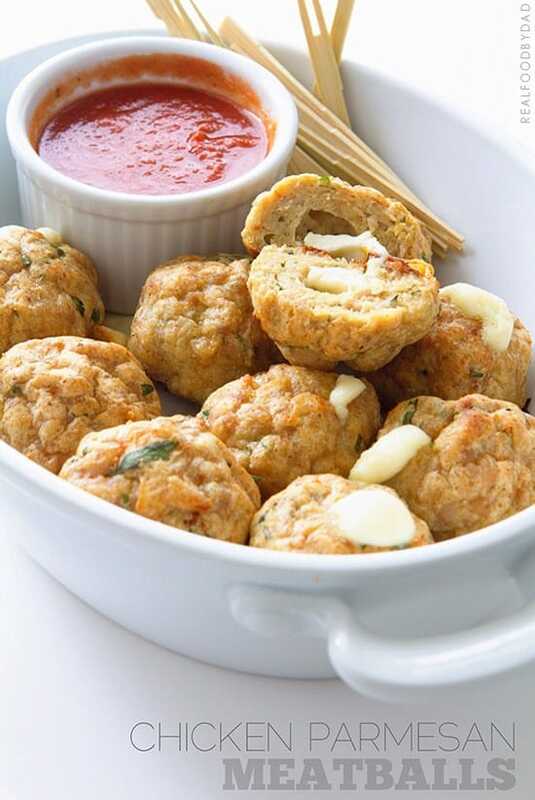 These little wonders contain a complete meal into a really small dense, complete school lunch package. If need be, they can become sweets as well ! 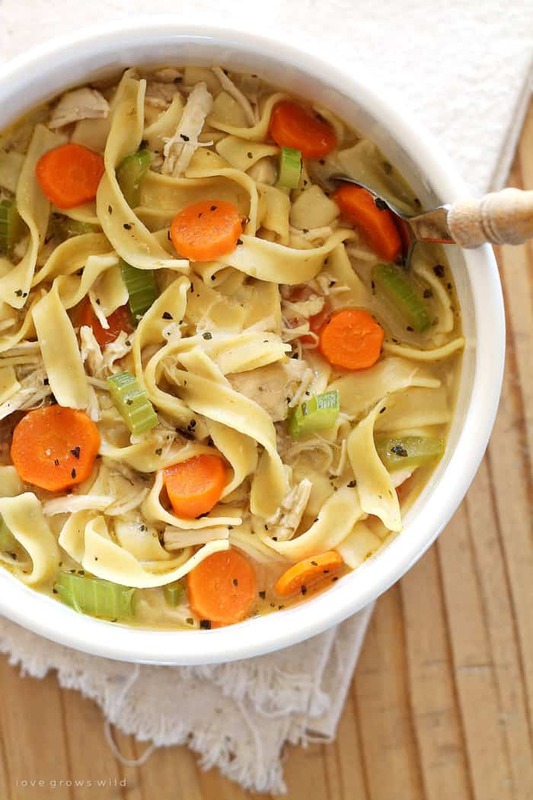 In truth, soup is harder to serve as a school lunch meal, that is true, yet there are elegant solutions around it and a ton of adopters, naturally, as it`s a really health meal, one that many children actually enjoy. It is full of nutrients and it can even be served warm, another extraordinary advantage. 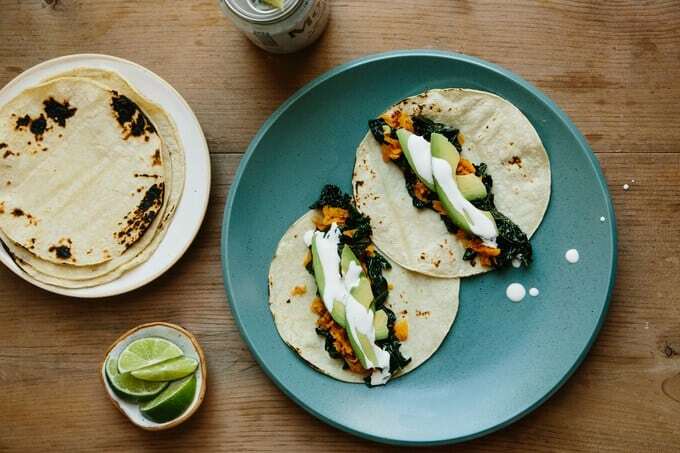 A really health combination of veggies, a green taco if you will. Greatly balanced, easy to make and eat, cast a glance ! 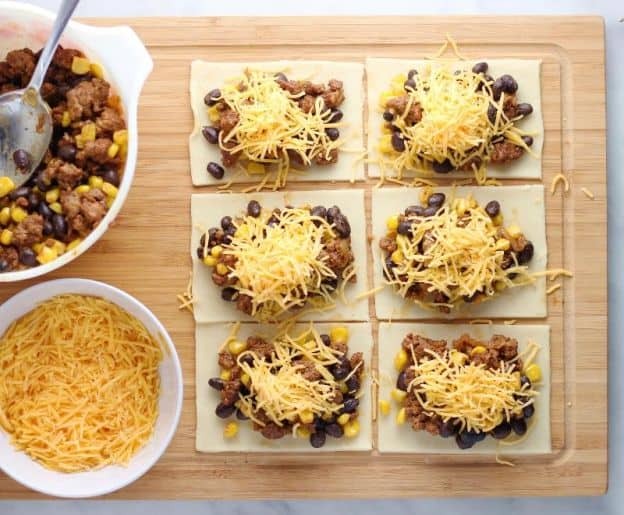 These little snacks contained season meat, beans and cheese, these are the main components around which you can play with absolutely everything. Leftovers can be easily used in these little packages and they can always surprise your little one every time if you are to change the components. 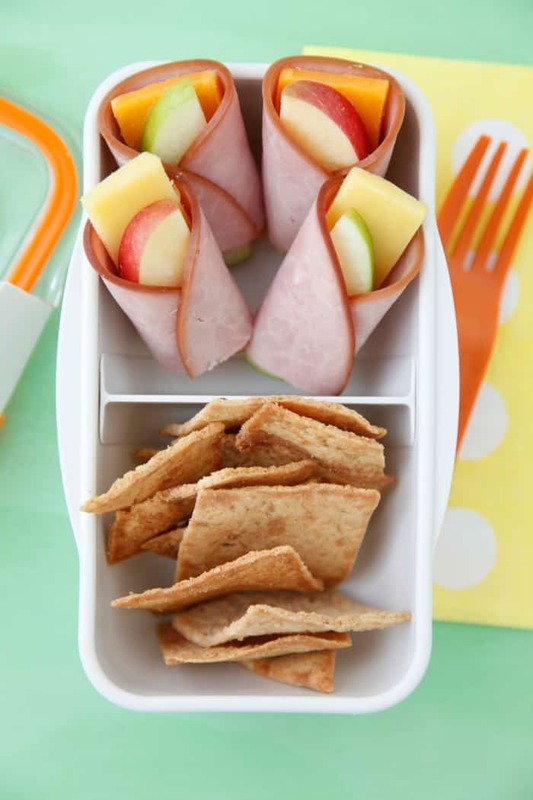 Use rolls to make mini sandwiches, in the example above turkey and cheese are the main ingredients, gracefully served with the world renown goldfish crackers, green pepper and last but certainly not least, fruits. 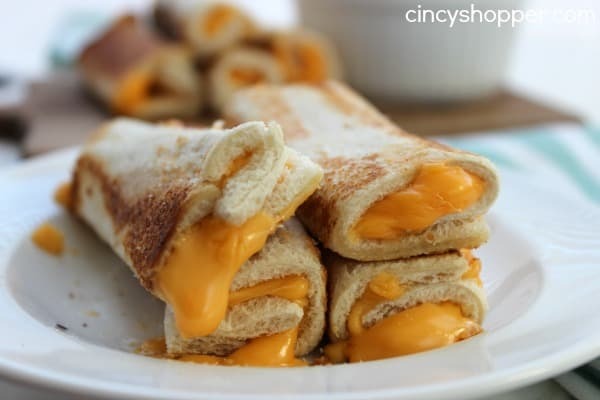 Colorful and really taste these grilled cheese rolls are ! They go great with a thermos filled with tomato soup, the little league will simply love them ! It may look odd yet the combination of sweet crisp apples with salty cheddar cheese and ham or turkey will definitely contradict you. It will refresh the children`s day and it is extraordinarily healthy. 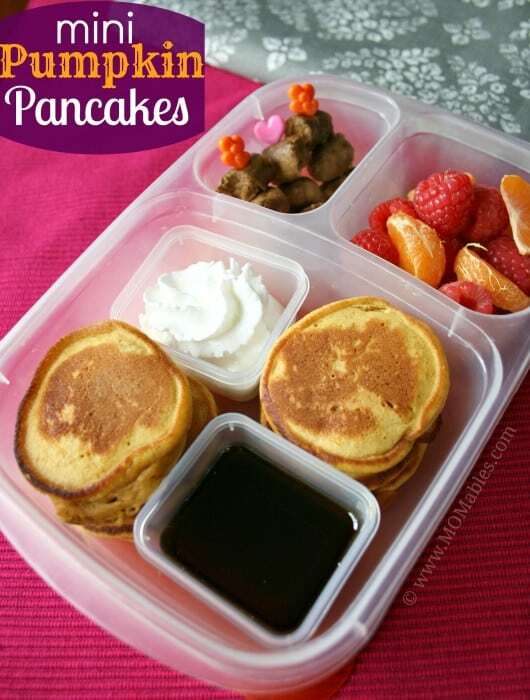 Wiped cream, syrup, fresh fruits, extraordinary complements to mini pumpkin pancakes. How extraordinary does that sound ? 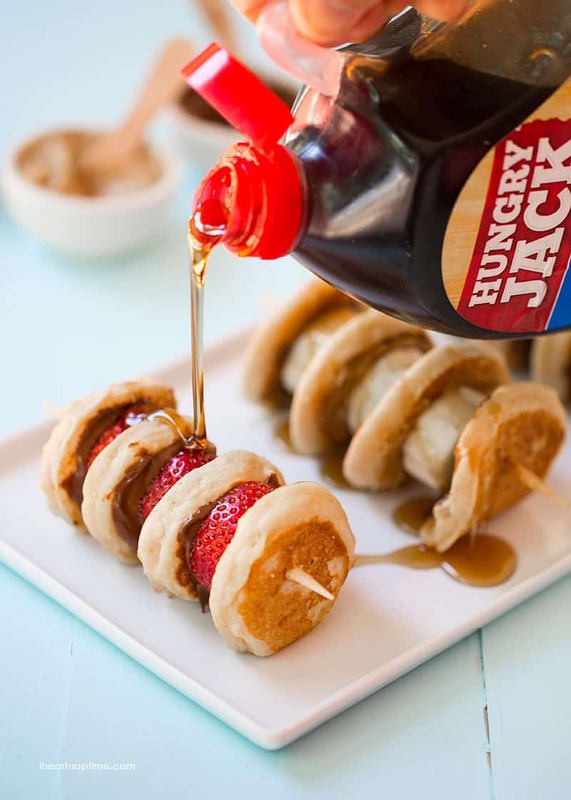 The mini pancakes can also be spiced with all kind of condiments and paired with sausages, meats, cheese. 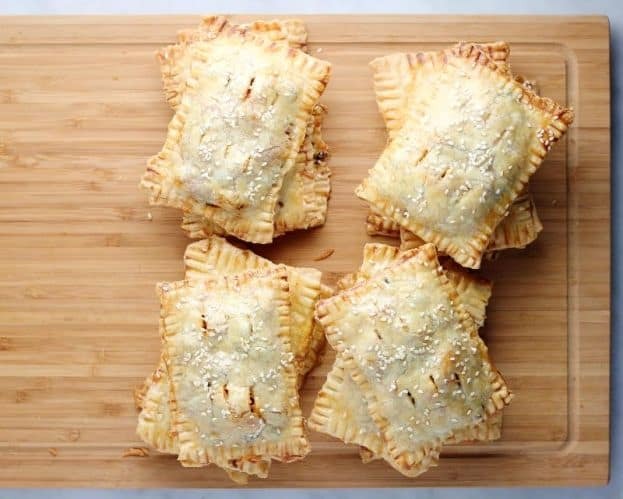 The sandwich maker can do wonders, they can help you create these epic small hot dog pockets. Keep in mind that you control the ingredients, play along with them, this solution can have different outcomes thus allowing you to break the pattern whenever you need it without changing the method itself. 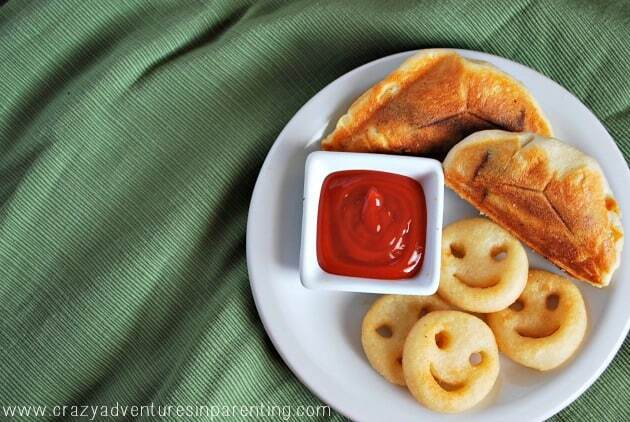 Ketchup, as always, helps and, naturally, so do smiley faces. 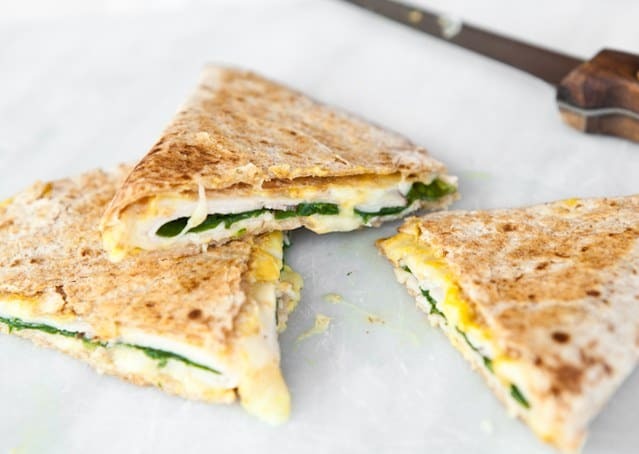 A fresh snack filled with everything a child might need, one cannot simply go wrong with quesadillas ! 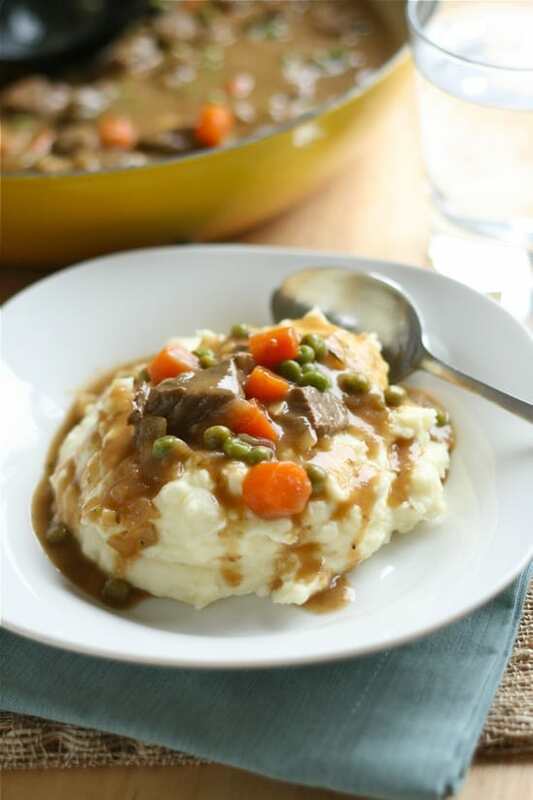 A simple, delicious recipe that is surely the ace in the sleeve of parents all around the world. 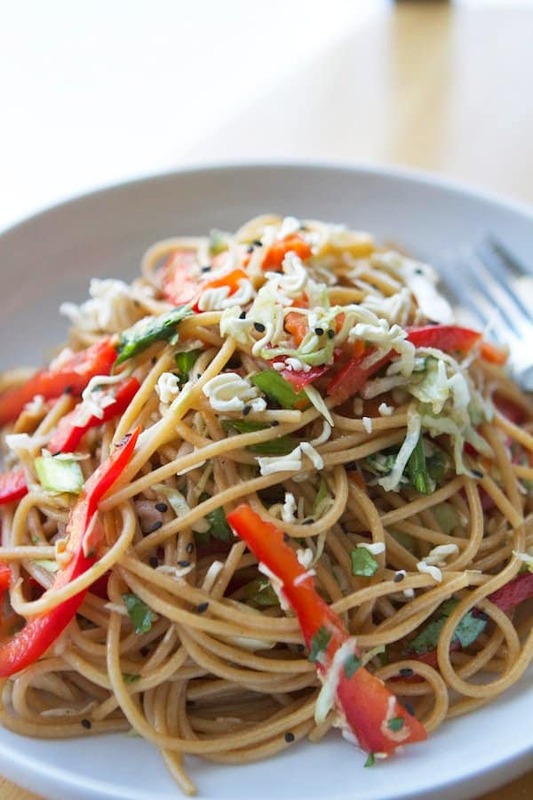 It ought to be paired with fresh veggies, possibly some crunchy carrots and of-course, fruits, fruits all the way ! While this snack is not necessarily rapid it is certainly not slow or hard to do, what it is though is, legendary. 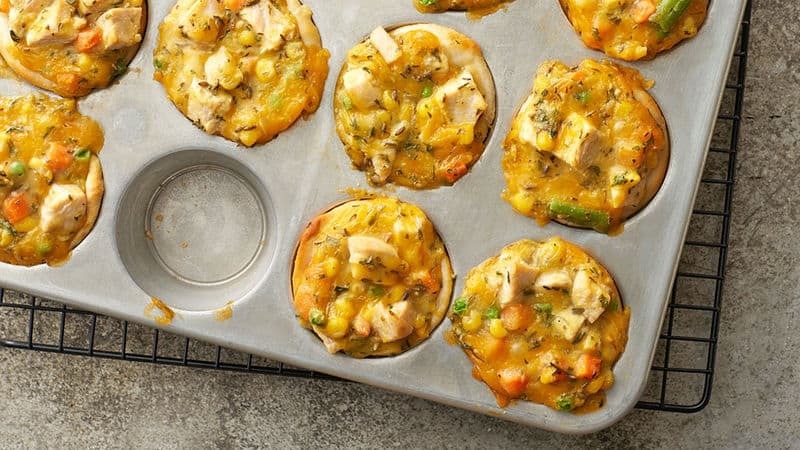 These epic chicken pot pie cupcakes can easily qualify as comfort food, if you want to spoil the little one, give the chicken cupcakes a chance, you and him both will love it ! 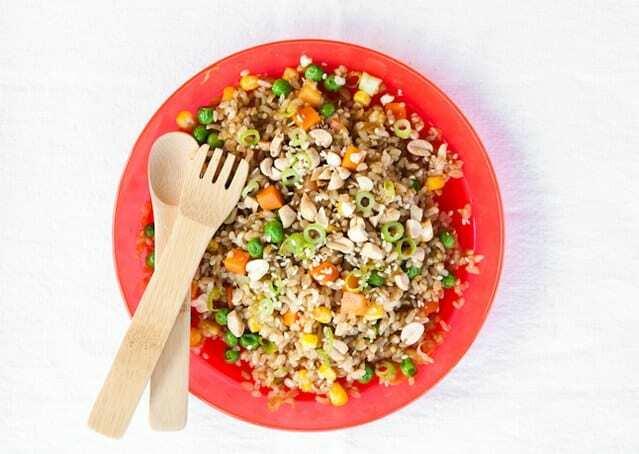 Veggies nestled in fried rice can be a treat, this a treat that will not entice every child indeed yet one might argue that is worth a try as it is super healthy. If you child loves LEGO, you have to go that extra mile, at least once, he will love it. Be prepared though, it might be a one way street if the child reads the potential of your creativity. 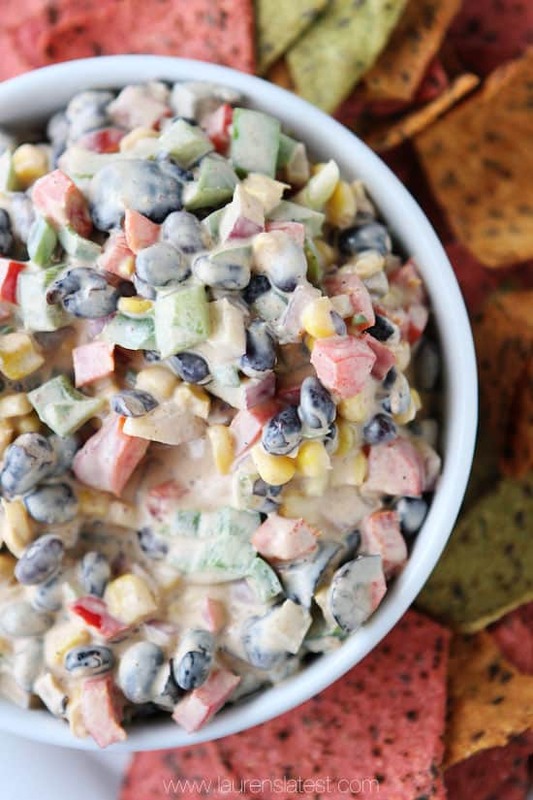 A recipe to success, a brilliant snack that your entire family will love. An odd combination one might think at first sight yet one that simply cannot be contested once tasted, insanely healthy and extraordinary ! Fast and easy to realized would be understatements without a doubt yet do not underestimate this lunch solution. It can contain everything that a child loves, these will be always fresh and he can eat them however he pleases, it opens a realm of infinite possibilities. 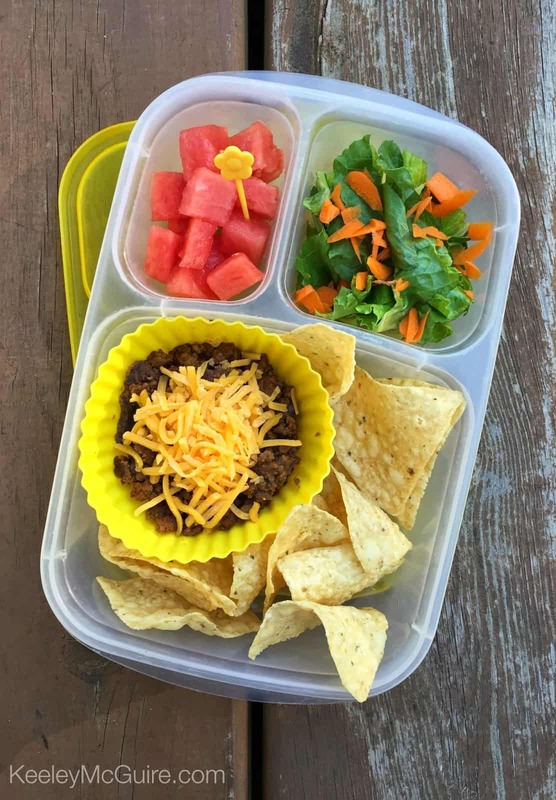 It is worth mentioning that this solution greatly minimizes wastes too as the parent can rapidly eat the leftovers of a child that simply could not “pack” everything packed. It goes without saying that diversity is key. Super rapid, super healthy and insanely tasty solution that can be greatly customized every now and then. The key to success it to balance these elements, have them tested before packing them, of you enjoy them, so will the child. Exquisite, truly, shredded lettuce and Italian vinaigrette in legendary combination that your child will surely not overlook ! These look really funny and more importantly, they taste at least as good as they look. 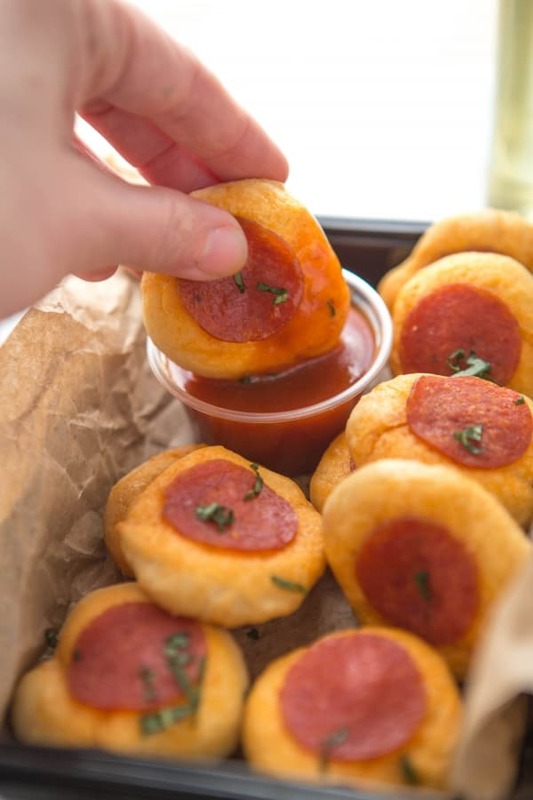 You can make them out of biscuit dough on which you add the start of the show, pepperoni slices, the amazing treats ought to be served with marinara sauce. Feel free to spice them with additional ingredients but with caution, the pizza taste ought to win the day. 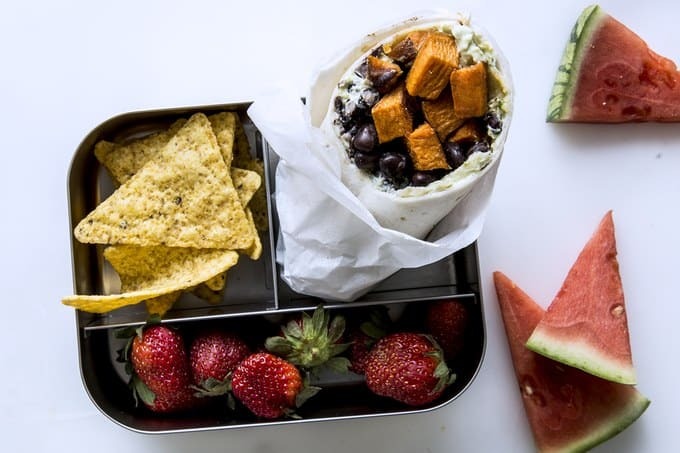 The great advantage of this great lunch box dish is that you can make it for dinner and pack for the child`s next day at school thus saving yourself a bit of time every now and then. 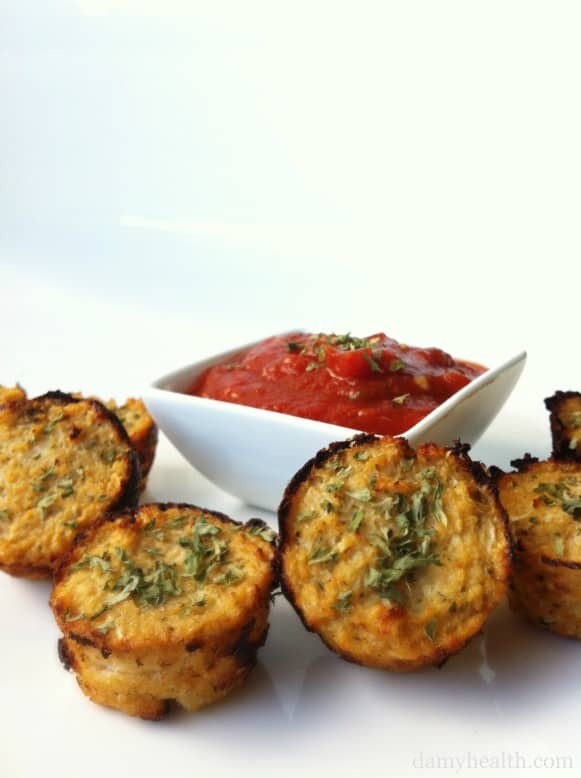 Baking is good, baking is extraordinary healthy compared to frying, give ravioli a chance ! 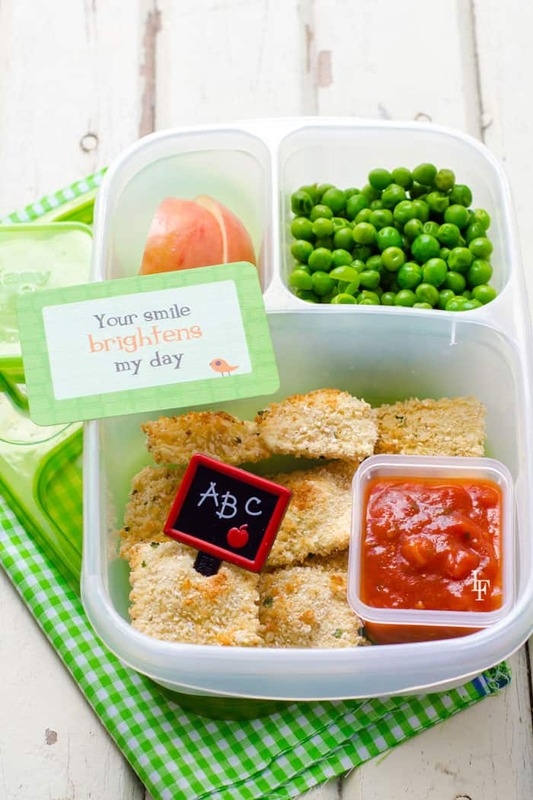 You can easily serve them as snacks throughout the day, for breakfast, lunch or to go as your child`s school lunch, they are crunchy and they also are rather healthy, the little league will love them ! Children love pop tarts, simply ask them or if they`re unfamiliar to the concept, introduce it, the statement will check out. It is important to take note that frosted pop tarts from the grocery stores are miles behind what follows. The amazing snack is really powerful thanks to the kid-approved formula inside, it contains beef, corn and beans and of course, lots of shredded cheese too, all in a pie crust. An evening treat or a fast morning snack till we can get the breakfast ready, works like a charm. It goes without saying that the combination of pepperoni and cheese qualify them as really delicious school lunch snacks, don`t you think ? In an Italian deli you will pick up the super cuts, everything else can be bought from the supermarket. The results will not be questioned, you kid will love his lunch. 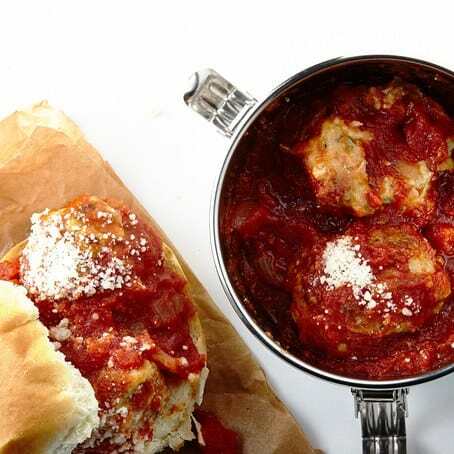 Meatballs, chicken Parmesan meatball actually, one would have to cook an immense batch of these as small portions bear the immense risk of being eaten in the process as moms, dads and children alike will haunt them through the kitchen, few will survive. No extraordinary efforts are required to make your little one feel special, as a super hero for that matter. 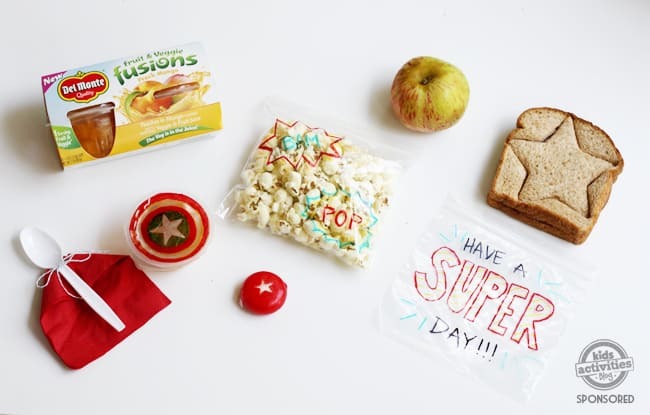 The small touches above in the child`s lunch box describe an amazing super hero themed lunch pack that will surely go unnoticed. Captain America calls the shots in the one above but you can get super creative with various other themes too ! 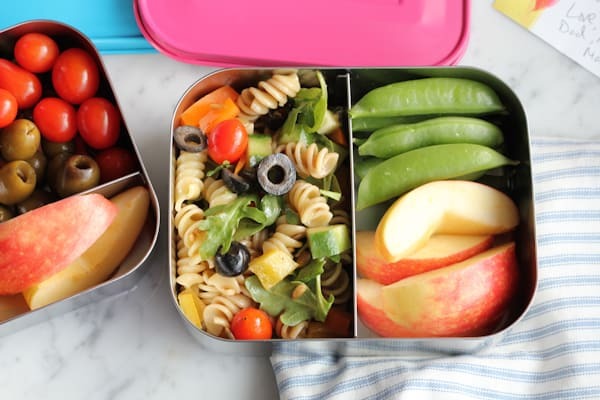 If you are anything like me, canned foods are not your thing and when it comes to your child`s school lunch, they are certainly not an option yet one asks himself often : what if I my child loves that particular canned food, what am I supposed to do ? Really simple answer: replicate the dish at home, fresh and healthy. 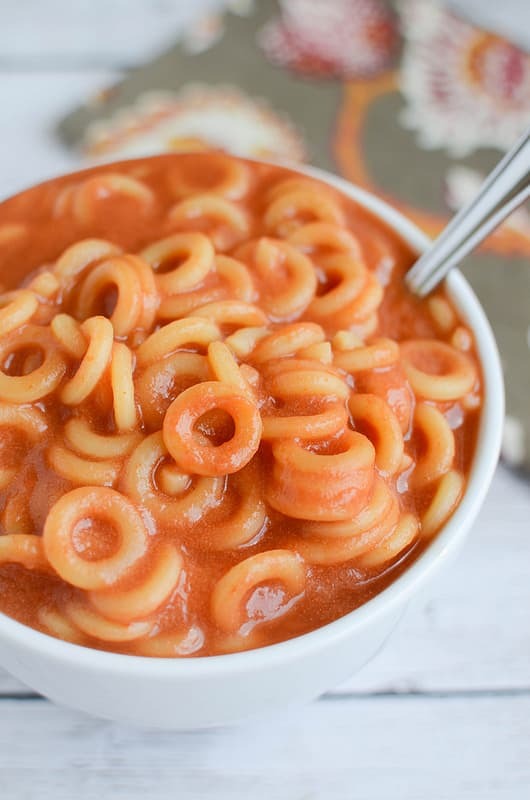 Kids love spaghetti-os as it turns out and Amanda from FakeGinger.com surely acted right on it; see the tutorial below ! 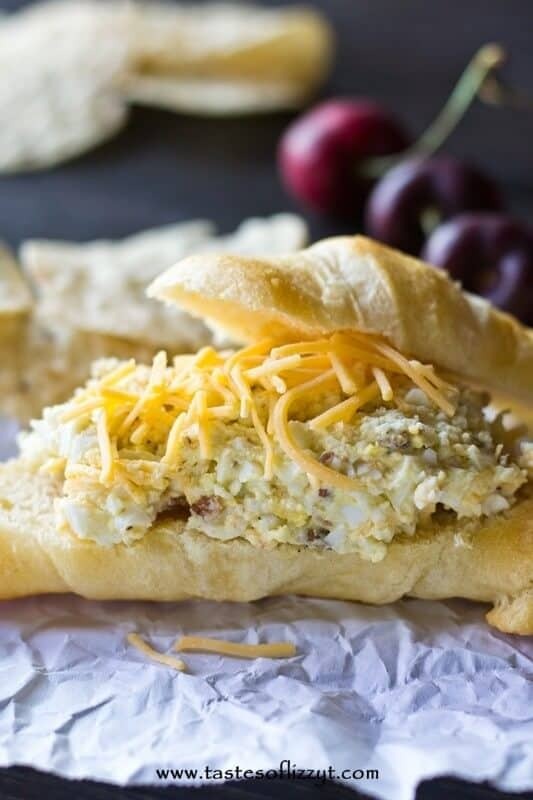 A small hit dog slice might be everything it takes to transform a boring meal into a really cool one that children will eat in a glimpse. 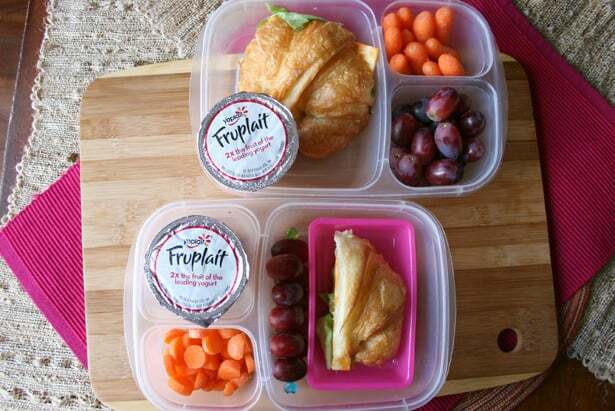 The rest of the lunch includes cheese cubes matched with pretzels for an easier consumption and a pinch of crisp and last but not least, fruits. When it comes to fruits, your child dictates the menu without a doubt yet seedless clementines are always an option I have learned. 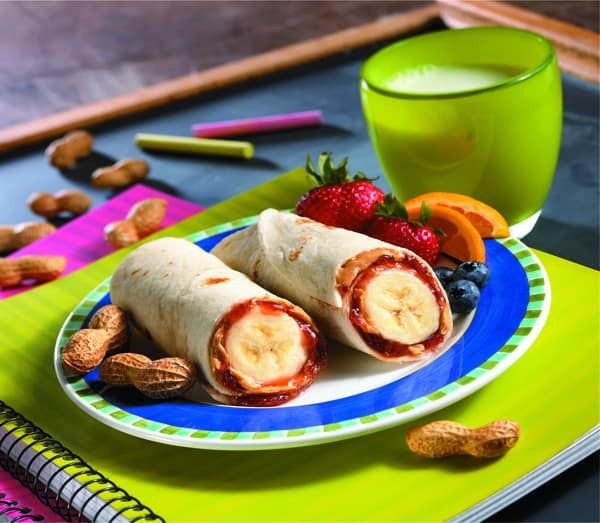 All you need are a couple tortillas, Nutella and bananas and you have a really delicious snack for the little one`s lunch. It goes without saying that you can serve these in many occasions and feedback will be always epic. If you have everything at your grasp this small treat should take a few minutes only, the good part is that you can dress these with additional fruits or swap Nutella for peanut butter every now and then, you have options, delicious options. 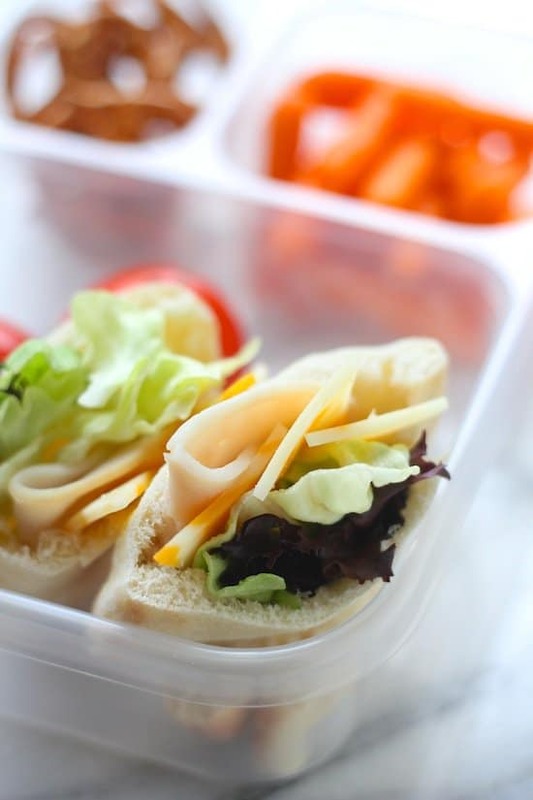 This dangerously good lunch contain cheese, veggies and fruits, a really healthy combination that will surely be devoured rapidly by the little ones. 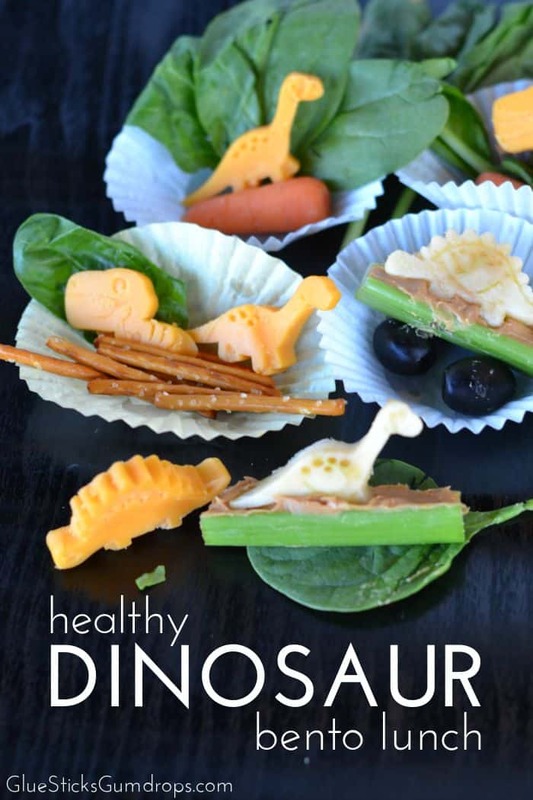 In these playful settings you can insert vegetables that your child might actually eat once shaped interestingly. In truth, waffle taco bars are not something that one encounters often, they are rare, they are epic and last but not least, they are kid-approved and naturally, kid-friendly, whilst being super healthy, the rare sighting above contains turkey, cheese and tomatoes paired with the child`s favorite taco toppings. 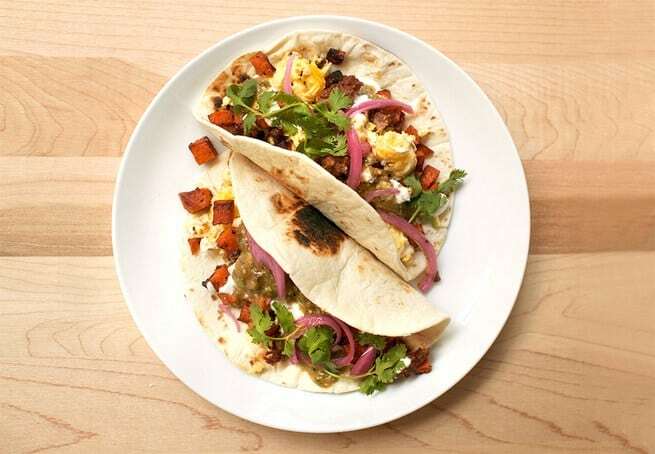 Different specimens are still out in the wild, we would love to see the waffle taco bar segment grow. There are handful of people that dislike avocado, indeed, yet paired with chicken and greens, avocado becomes something else entirely. 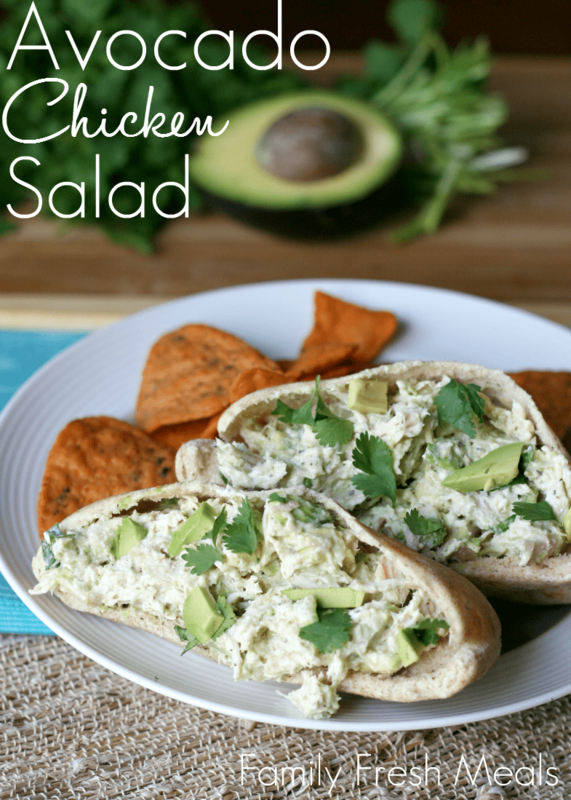 The chicken salad highlights this combination big time, it contains mayonnaise, Greek yogurt, shredded chicken, avocado and various other spices that help the ball get going, the result is inexplicably delicious and really healthy. 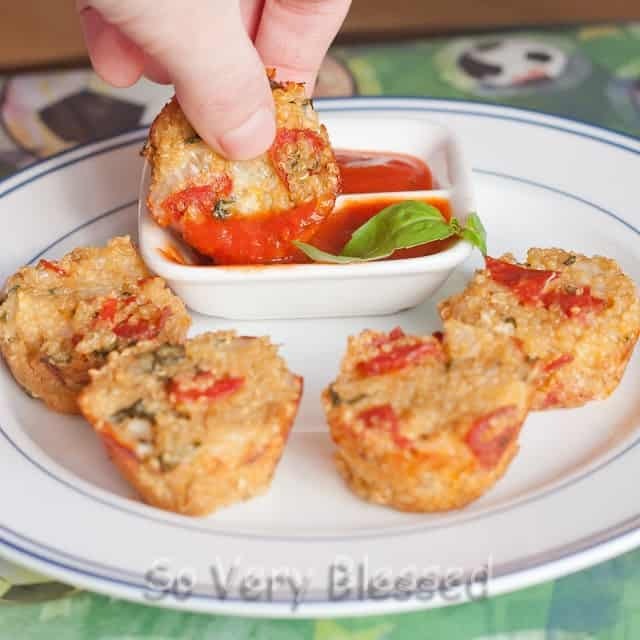 The little ones will surely enjoy it, thrown an eye on the recipe below. 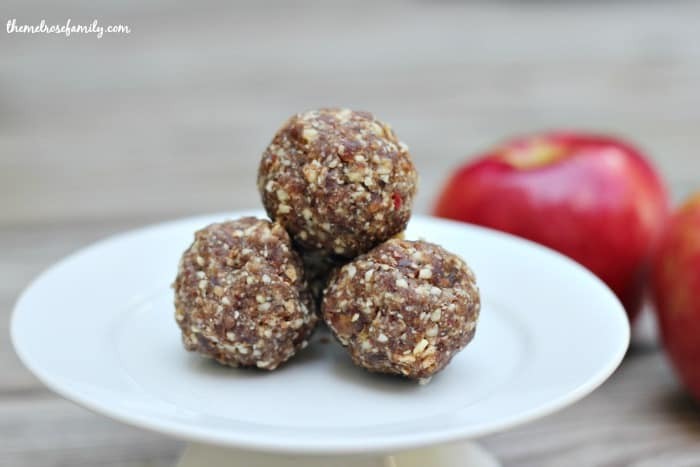 In less then 10 minutes you can have a really healthy snack that tastes just like an apple pie yet with little to no calories ! 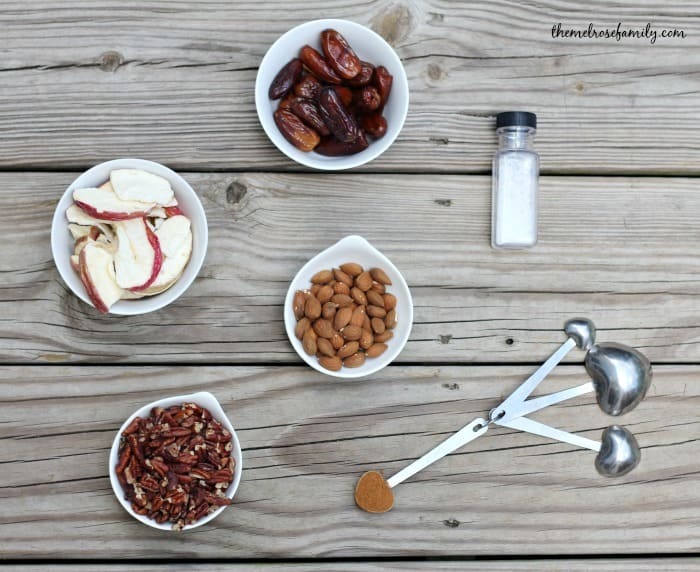 Ingredients are pretty simple to, you will need pecans, almonds, cinnamon, pitted dates and fruit cups, dried crunchy fuji apple would do for example. Sweet, healthy, and easy to realize ! Roast beef slices,mini Ritz crackers, cucumber sticks, yogurt, blueberries and grapes, a really complete and diverse meal, as healthy as they go ! 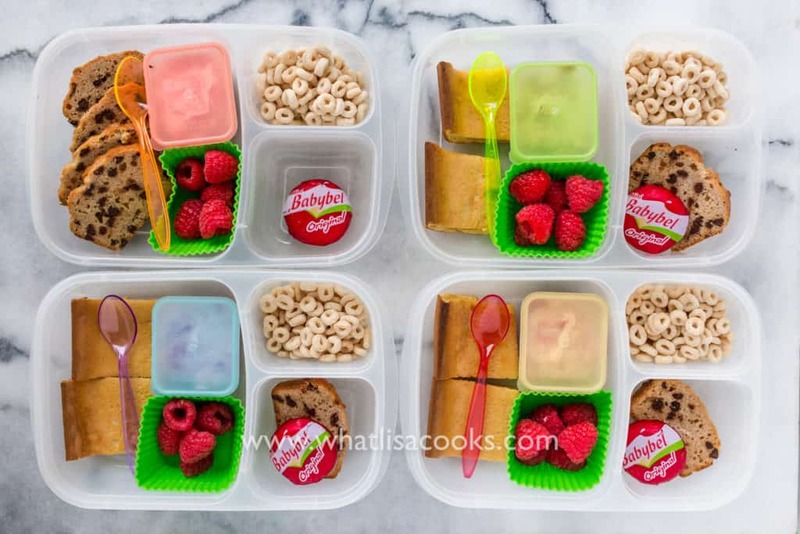 Homemade meals come in different shapes and sizes and that especially applies to hot pockets, you can have smaller ones made for the school lunch and little children and bigger ones for breakfast in the morning. Hot pockets can of-course be made more or less hot, you decide what you nestle within yet steak & cheddar, turkey & provolone, pepper jack & carnitas or ham & Swiss are a couple of great options recommended in the recipe below, you can complement these with everything from onion and peppers up to tomatoes, you make the rules and rest assured, children and adults alike will love them! 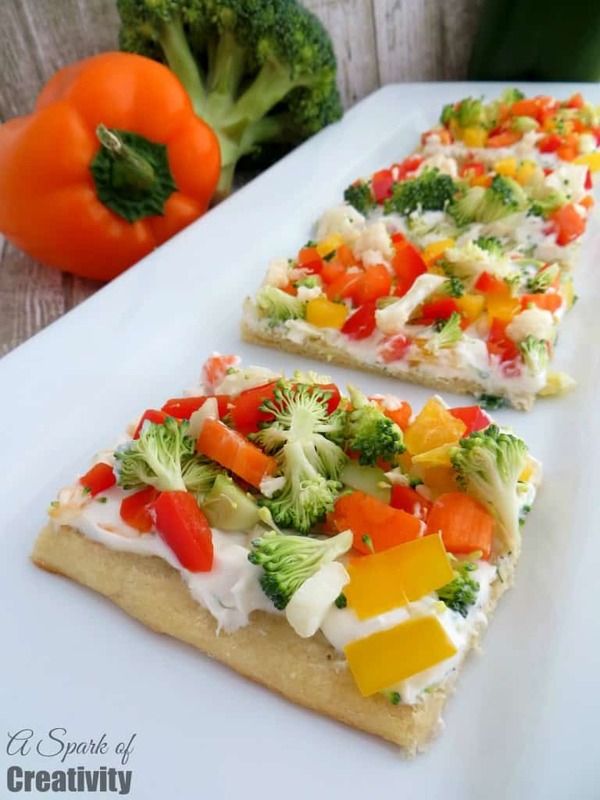 Few snacks in our list of school lunches are as colorful as this vegetable pizza, few things are as healthy too ! Well spices, vegetables can transcend their taste a great deal, they might even look appetizing to children ! Yes ! 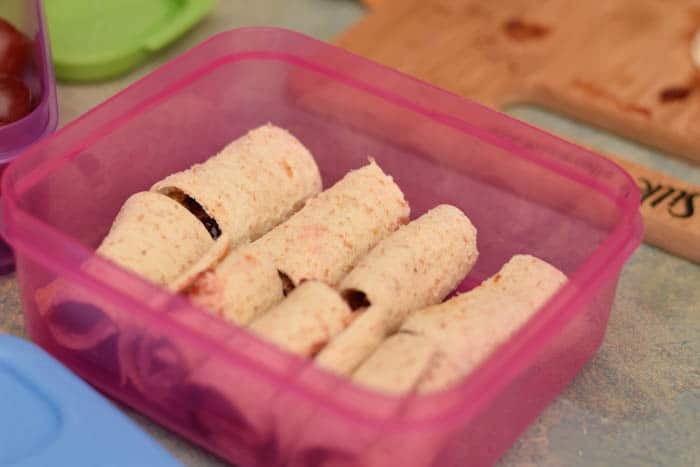 You`ve read that right, PB&J Sushi is a thing and it is a thing that the little one will really really love ! It goes without saying that this sushi is super easy to make, sweet, consistent ! Incredibly tasty, God-sent meal that you can prepare in 5 minutes and cook in 4 hours in the crackpot with very few ingredients. 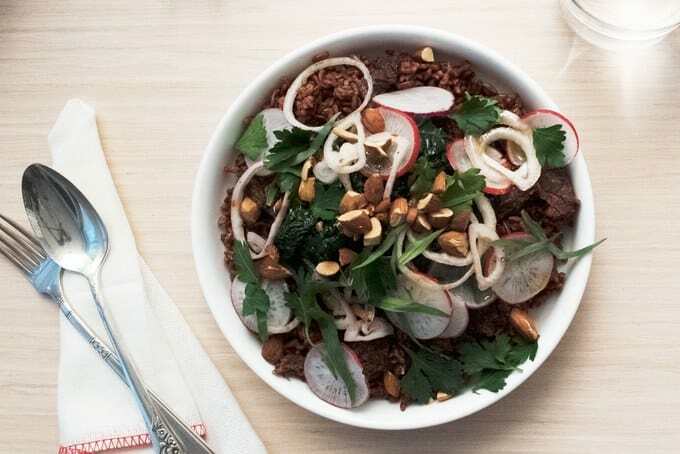 Yes, 4 hours in a crackpot would probably an overkill for a school lunch meal but regardless, the dish simply extraordinary, you can make it for dinner and pack the leftovers, the children will be delighted, the entire family will be delighted ! 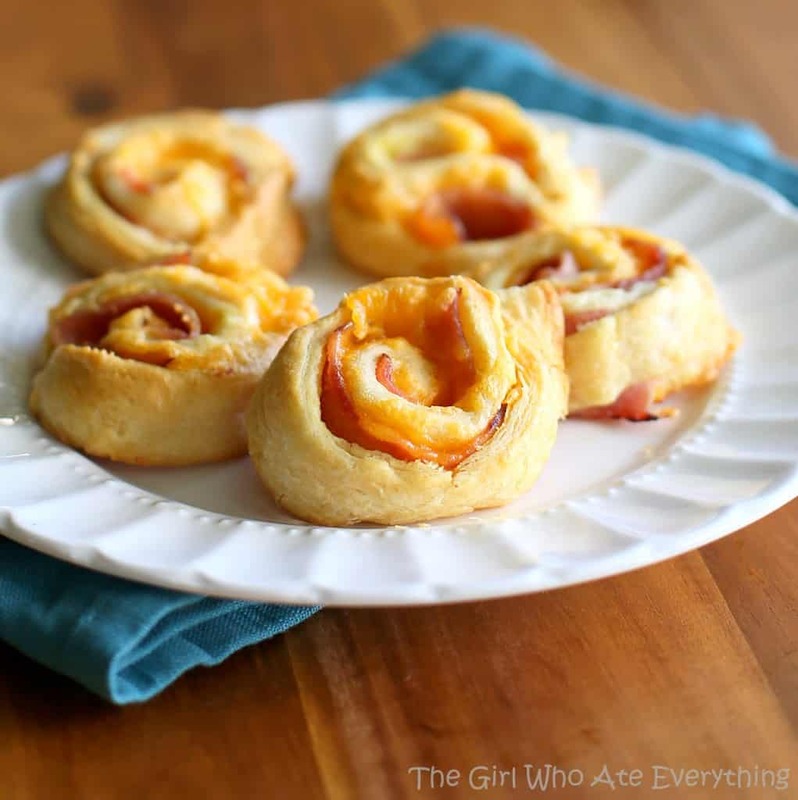 A little snack, a light dinner, a school lunch, the BLT pinwheels do it all ! You can make them quite rapidly, they contain basic ingredients that one would naturally have round the household and they`re super colorful and tasty ! Naturally one gets tired of sandwiches and wraps, even fruits all day may need a break and here the salads come in ! 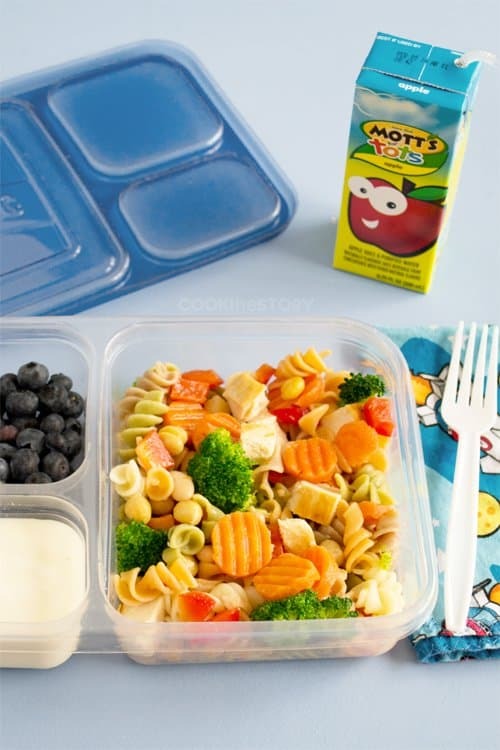 A cool pasta salad would contain everything a child might need and once paired with the right fruit and a juice box, the lunch box will be complete ! 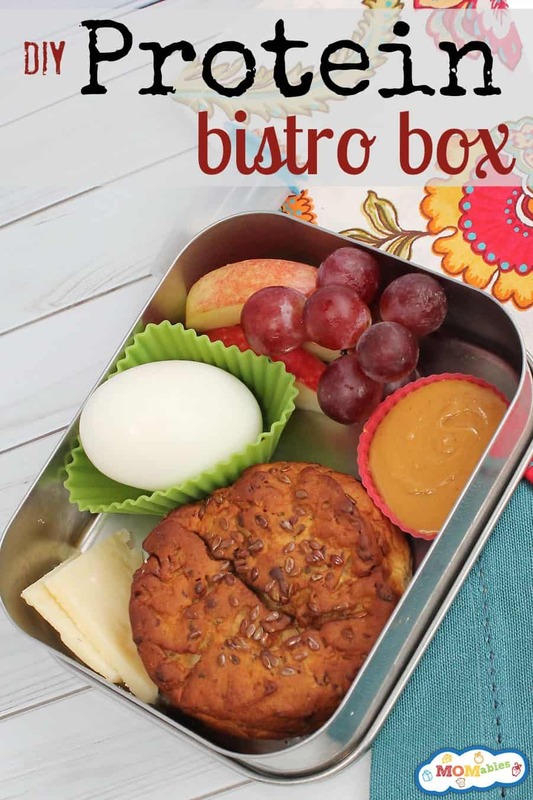 An interesting boost of protein can come in the form of cheese, eggs and peanut butter conveniently shaped with a fresh fruit and a very healthy multi-grain roll for energy, super healthy package for the little one, everything that he needs in a school lunch. The image says it all, PB&J banana burritos will win the evening, you simply cannot go wrong with this desert, it contains peanut butter, jam and bananas, all wrapped in a burrito, legendary by default. 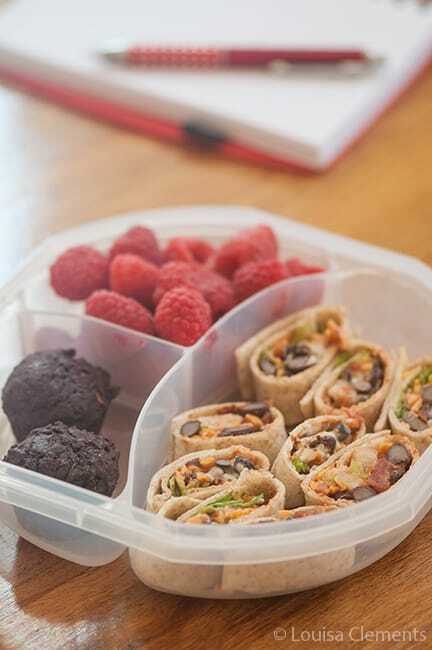 Prepare them as a desert and wrap two three additional portions for the kid`s school lunch, the little league will love it ! 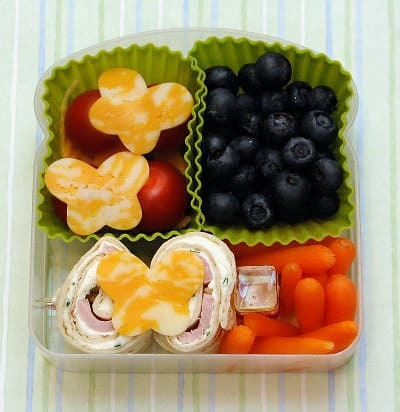 Wholemeal wraps nestling cheese slices and ham, cucumber slices, an incredible awesome carrot airplane, apple slices and just a handful of blueberries make one epic and creative meal lunch that your child will surely enjoy ! 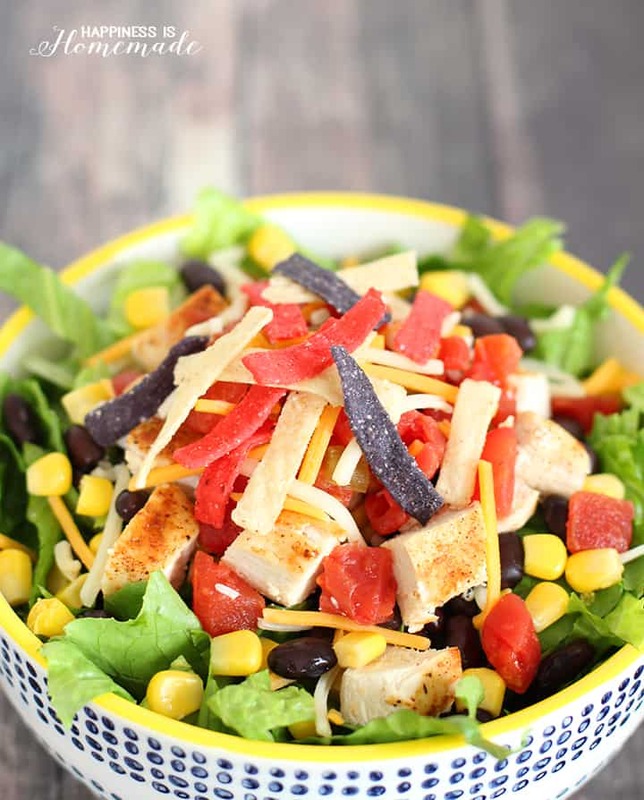 Dressing the lettuce is a must that implies a really messy eating session, we dare to say that you child will definitely feel like it was worth it, give the dressing a chance ! 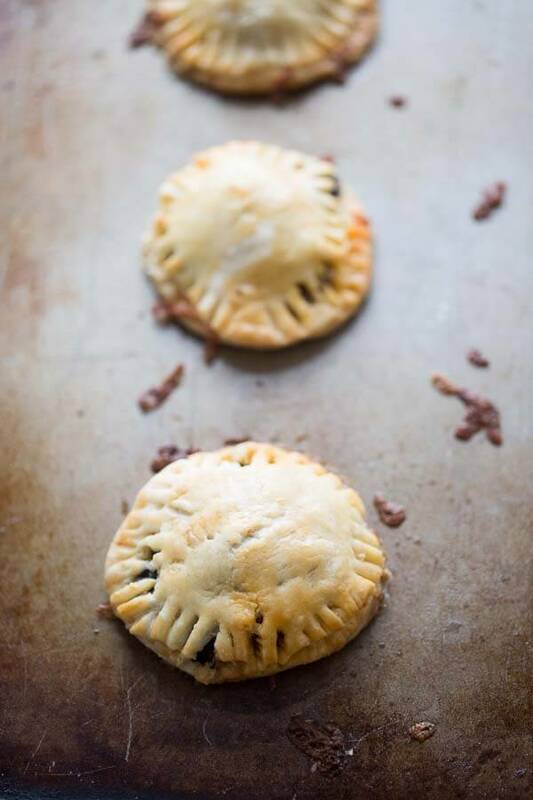 The mini taco hand pies will put an immense smile on your child`s face, pair them with the two sauces of choices and you will be the parent of the year ! 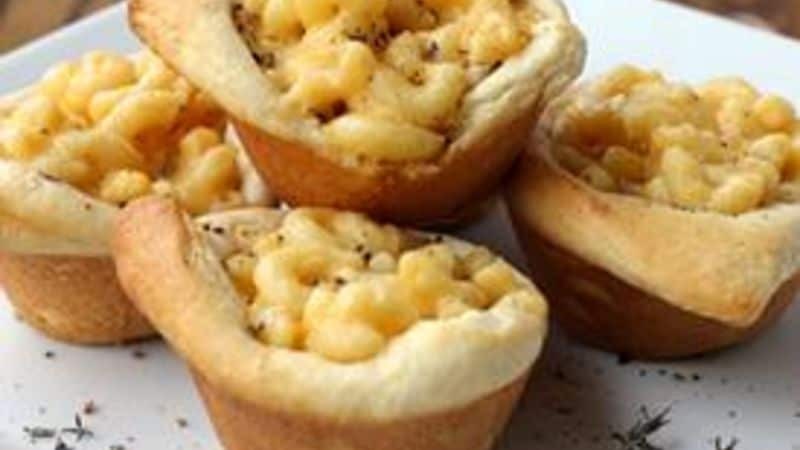 These mac and cheese cups are just as tasty as they look fancy ! They can make a great side dish and an even greater school lunch for the little ones, see the recipes below for greatness ! It requires little planning just the night before and the cooking process is super rapid ! 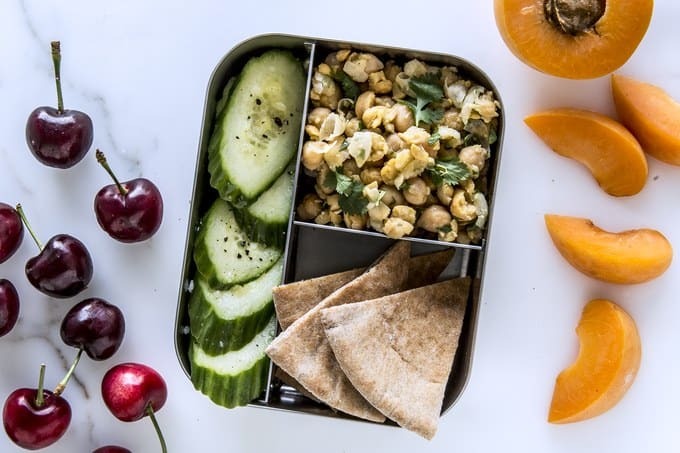 It contains hummus, carrots, fresh pomegranate seeds; it is super healthy and pretty different to your regular school launch in all the good ways possible. The chicken ingredient can be discusses, you can grill it, fry it, boil it, it will do. A really strong mixture of veggies and greens is required for balance. Sometimes the leftover pie or cake from breakfast matched with fruits and cereal will do ! 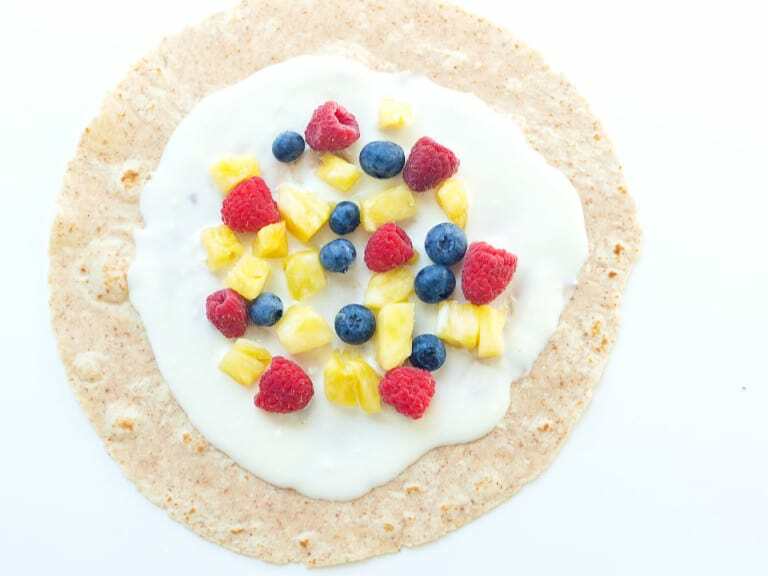 Sweet, healthy and definitely your child`s favorite since they were in the breakfast in the first place ! A recipe that you can easily adapt for each family member, whatever leftovers you have around the fridge would work in a bowl with the right pasta ! 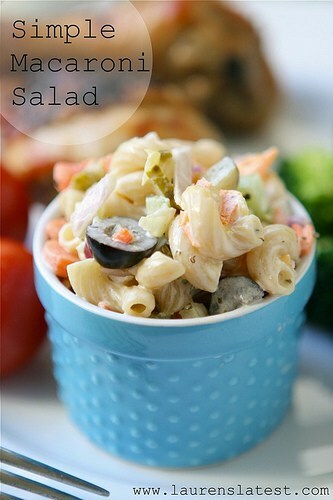 Pickles are also very important and Lauren mentions in her macaroni salad recipe exactly the type that would make your dish successful so make sure to check it out below ! It is only natural for garlic to change everything. 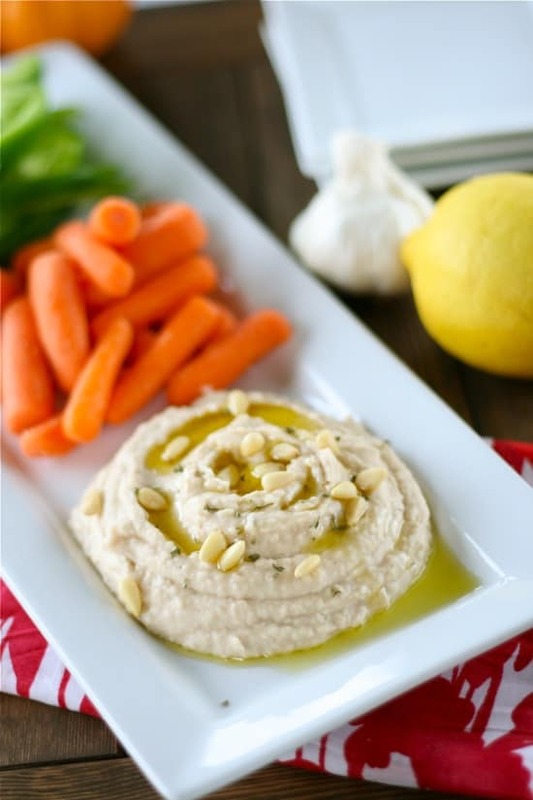 Now, imagine garlic paired with hummus, a bit spicy one may think, yet once roasted the garlic sweetens and creates a really interesting mix along white bean hummus. 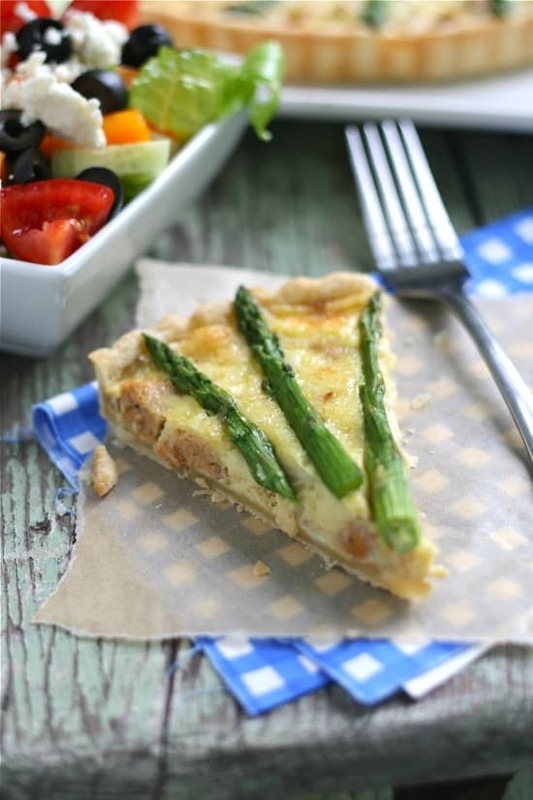 Both are extraordinarily healthy ingredients and the cooking session is rather straight forward and thus you have an unique recipe to consider for the children`s school lunch. 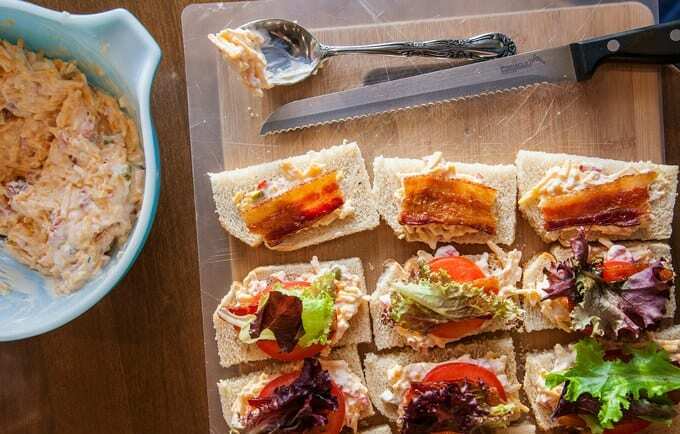 You can make something unique by combining tuna with bacon, we all know that bacon makes everything better and Lauren explains it really logically in the recipe below. 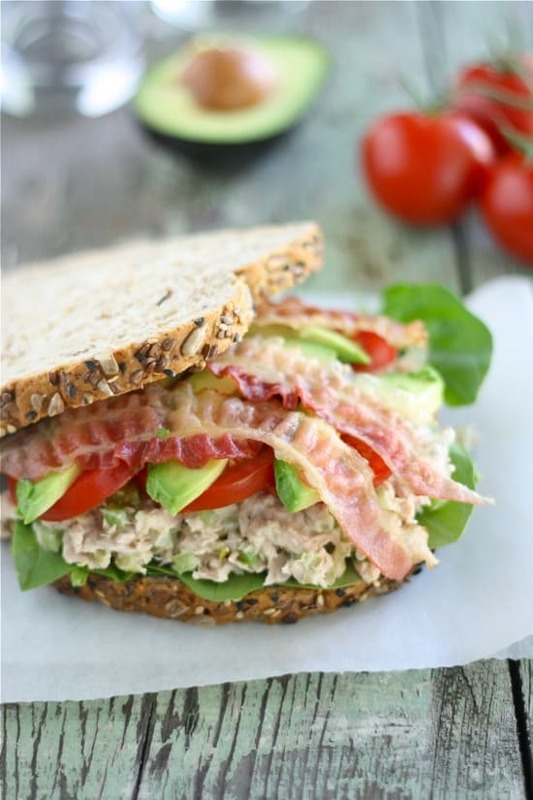 The recipe is really straight forward and you`ll need only a couple of ingredients such as tuna, bacon, avocado, tomatoes, spinach or lettuce, mayonnaise if your heart desires and last but not least, a good bread. 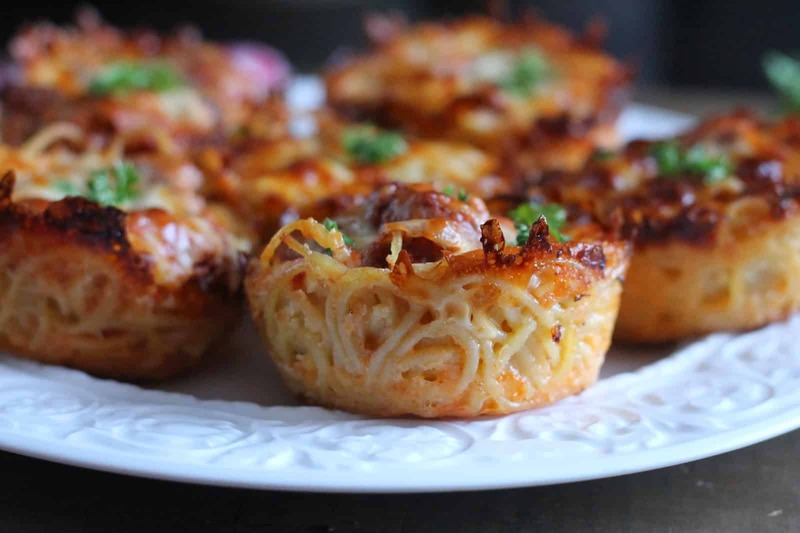 You can of-course adapt this recipe to your child`s taste. You may be amazed by the combination of pasta and tuna, you may not, regardless, you will soon learn that it is simply extraordinary. 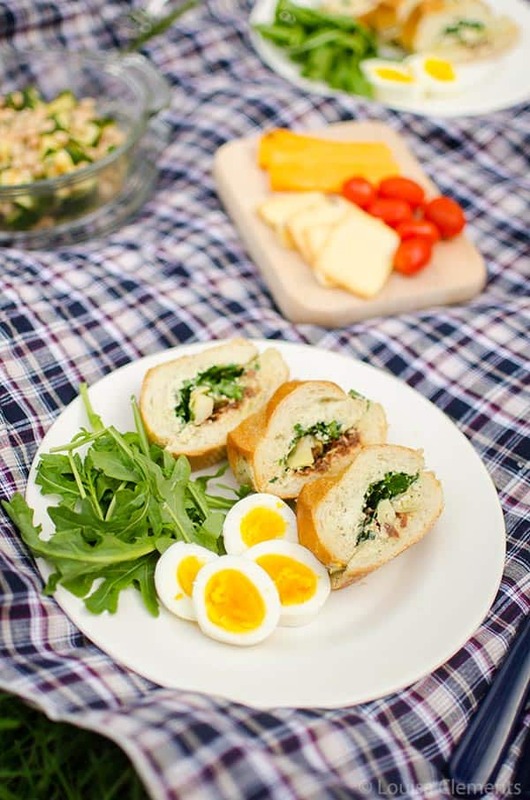 It is also extraordinarily easy to do and that qualifies it for super fast lunches at school or at home, great picnics and the perfect dish for easy summer dinners. 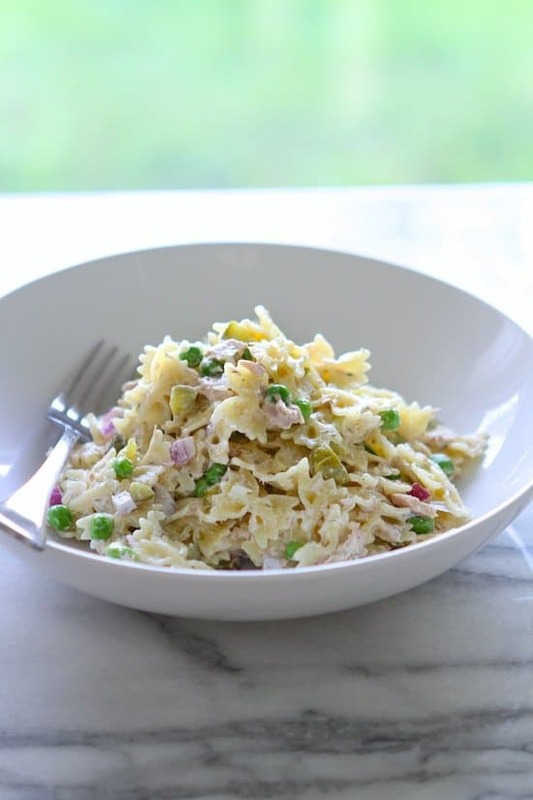 You will need pasta of course, frozen peas, onion, dill pickle, an important asset if you ask Lauren and last but not least: tuna cans; on top of these super relevant ingredients the cook behind the recipe ads lemon juice, real homemade mayonnaise, dried rill, salt pepper. Additional spice may join the party. 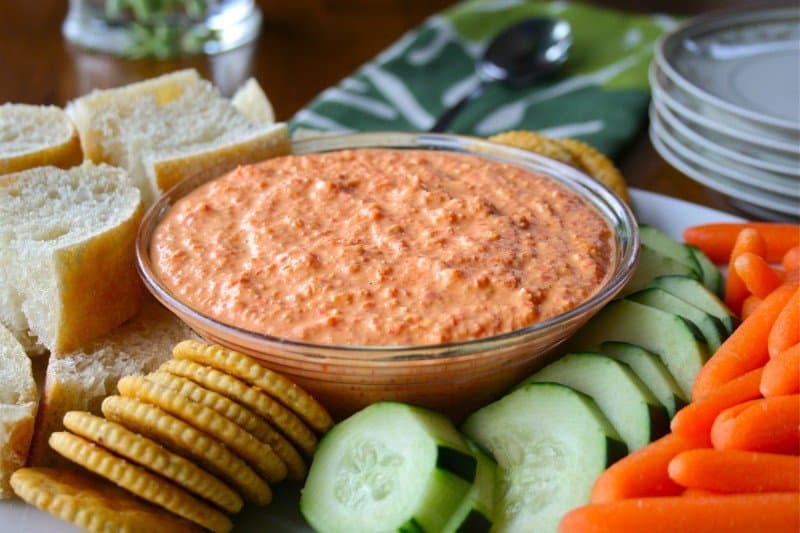 Straight forward and delicious, the red pepper dip describes a lunch that can be enjoyed by the whole family once paired with the right crackers or bread. Children will make enjoy at school too, simply make sure it is spiced to their taste not yours, for spicy-food enthusiasts that may raise questions. 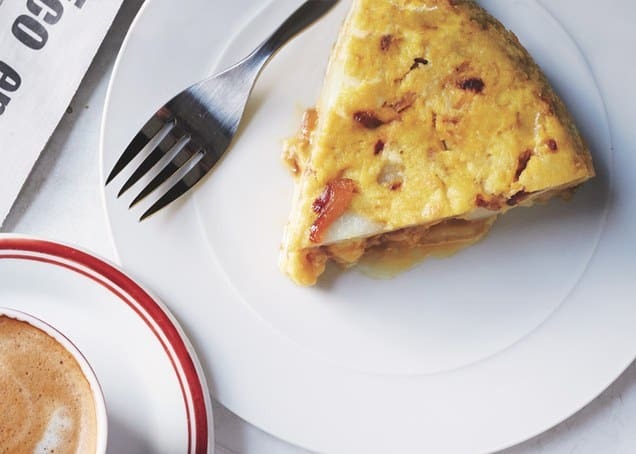 Quiches might seem like a mountain not worth climbing when in truth they are rather easy to do, they will take you an hour or so at most which is a lot compared to various other 10 minutes dishes in our list but the results are rather different, they`re not to be compared. Every now and then going the extra mile is definitely worth it and you can surely pair the child school lunch with a small family event if you`re looking for an additional reason to bake the beauty above, see the instruction below and you will be convinced. 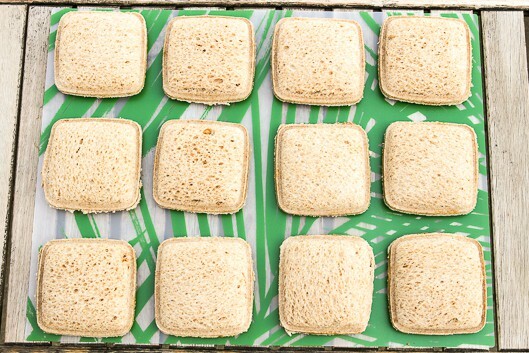 Children naturally get bored of sandwiches, it is only natural, so do we. That`s where these petite salad pita pockets come in. 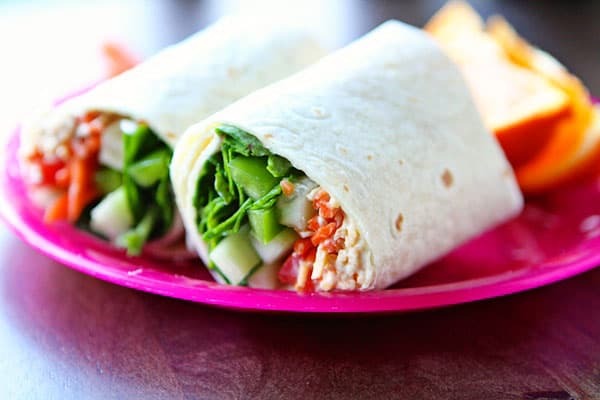 They are a super fresh boost of energy and nutrients packed in a school lunch. 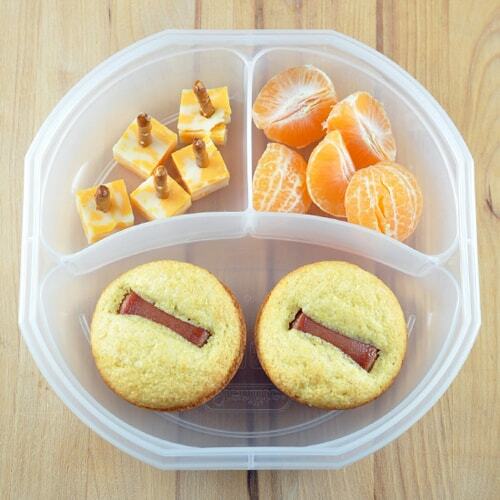 Add a fruit and a small sweet to two of these and your child will eat his lunch in a glimpse. This is an en extraordinary treat ! Really basic recipe with really basic veggies that you surely have around your house already, one recipe able to save the day without sacrificing anything ! Not even time ! 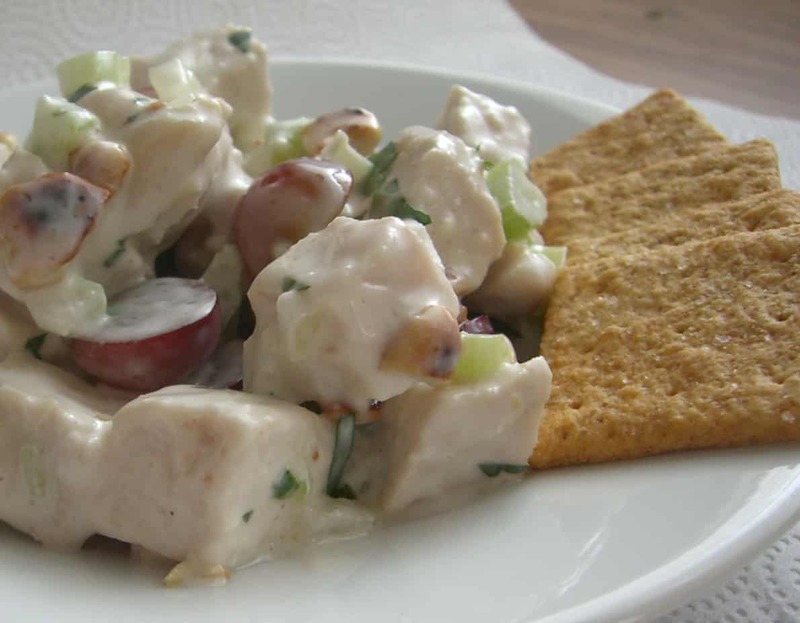 It can make wonders at dinner, lunch, at a baby shower or at brunch, it is super versatile and really really really delicious this fancy chicken salad presented by Laura ! 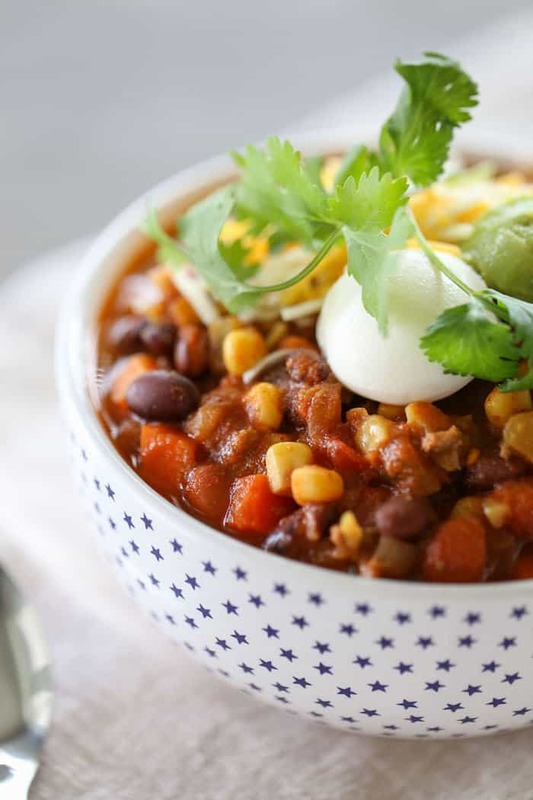 We invite you to cast a glance on the recipe and seriously consider it for your next cooking session, pack a little extra for the little one, they`ll love their school lunch ! 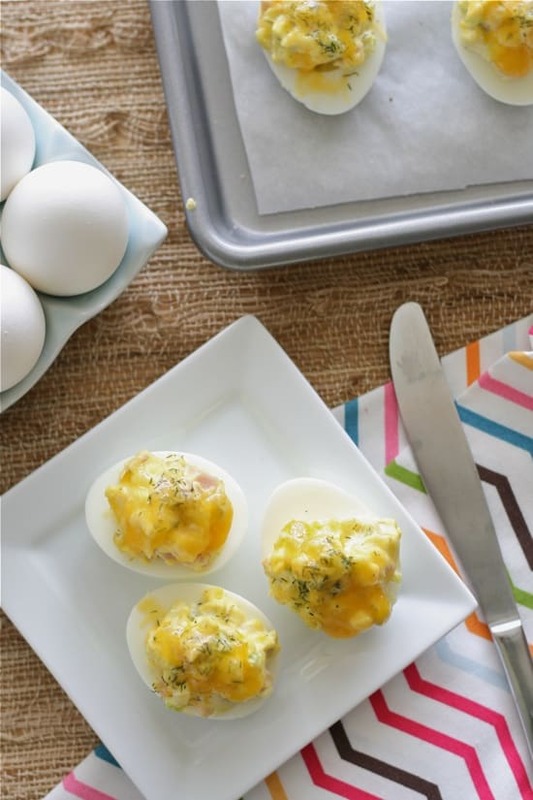 Win the day, deviled eggs win the day in all households, they simply do ! They are that good, yes ! 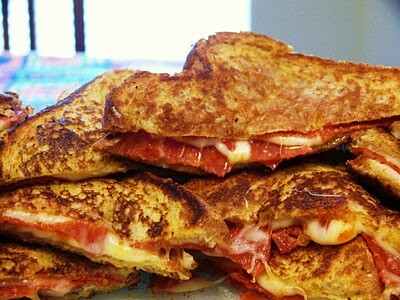 Have a batch made rapidly and nestle some cheese and ham in there for that little extra punch, your kids will love it ! 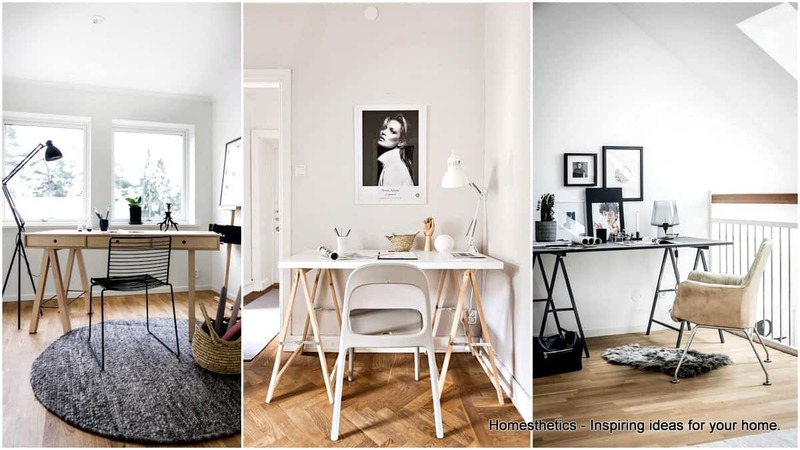 A really creative solution to transform simple into something extraordinary that would gather a lot of smiles ! Yes ! 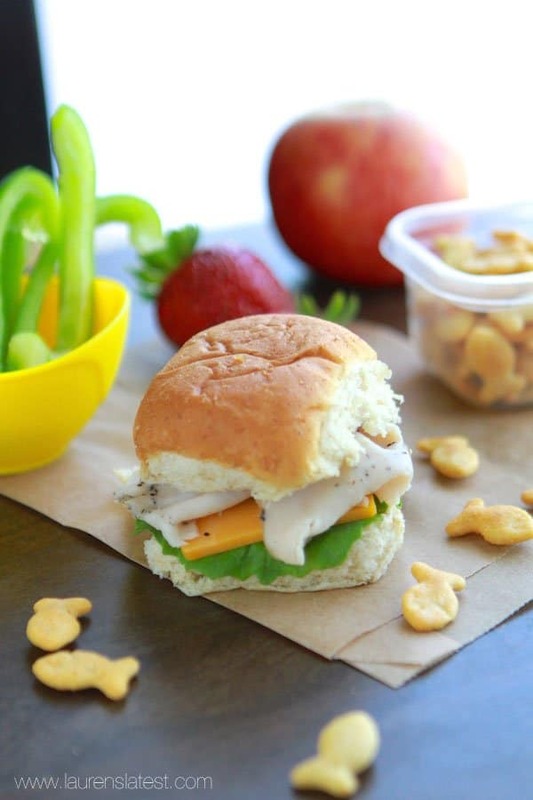 It is a submarine sandwich, floating in an ocean of fishy crackers, the good ones that we all really love ! 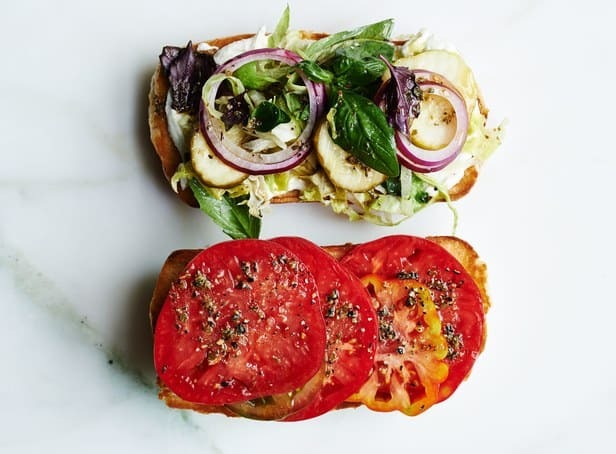 Pick super healthy ingredients for your sandwich, a really good fresh hot-dog bun and match these with fruits and maybe a small chocolate bar and you are all set ! Here we go, these are the infamous uncrustables ! They are world renowned for their simplicity, every child in the world can vouch for their immense potential and every parent in the world for their ease of use ! Nachos are extraordinary, children simply love it ! 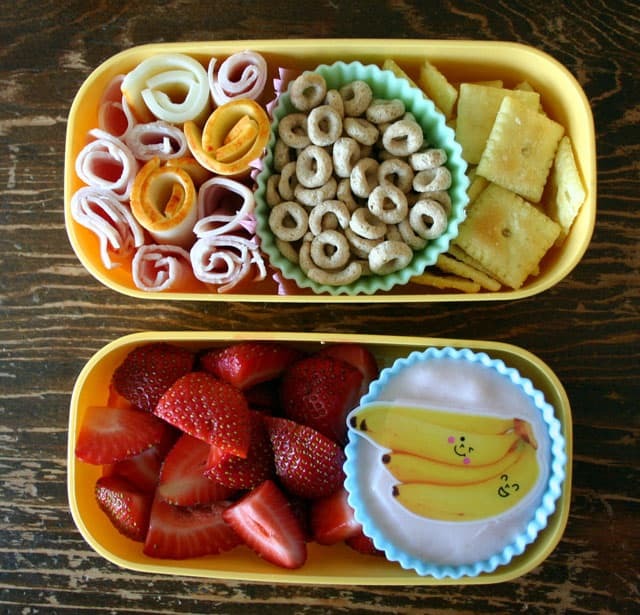 Pack them with all the right ingredients and you have yourself a happy kiddo ! 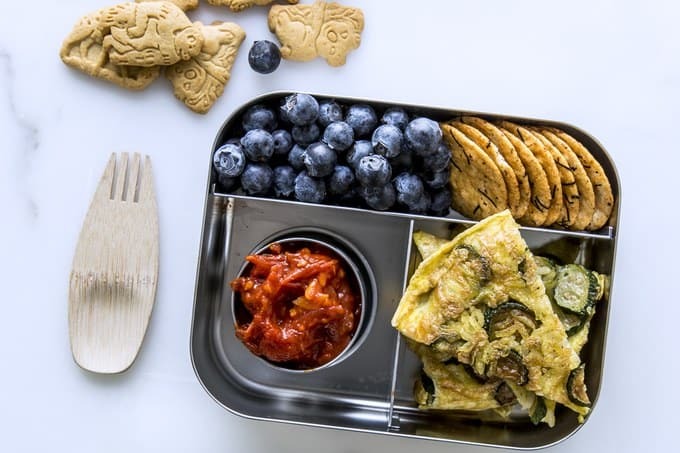 A delicious mixture of super healthy items that will literally boost your little one during the school lunch, easy to realize and pretty delicious, a dish that can also double as an awesome dinning ! Swiftly chop jalapenos, corn, black olives, red onion and bell peppers and complement these with black beans, taco seasoning, sour cream and cream cheese, 15 minutes are everything it takes ! You will get portions for about 8 individuals, 8 super happy individuals that will adore your meal ! 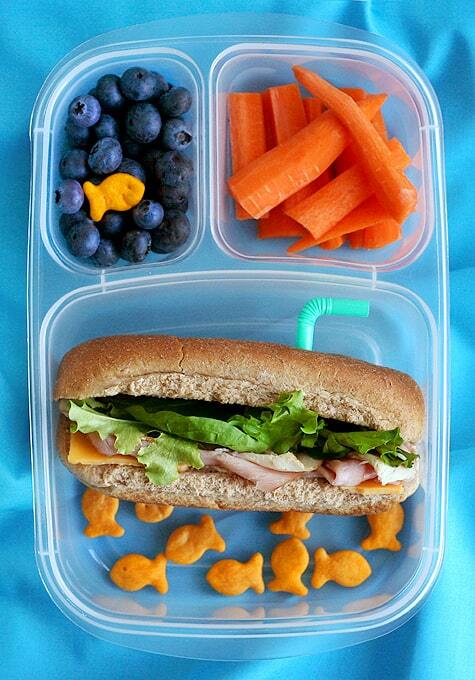 Feel free to put aside a couple of portions for your little one`s lunch ! No pizza dough needed. Epic. You need tortillas, pizza sauce, pepperoni, mozzarella and the toppings of choice and of-course, some spice that you fancy. To these rather “regular pizza ingredients” you can add absolutely everything that you find interesting, everything that your child would like. These make great evening snacks and school lunch material. 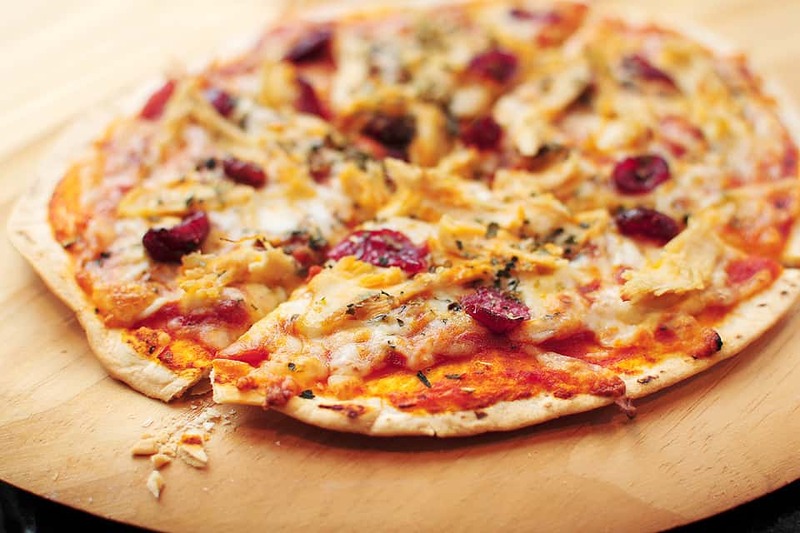 Play around and craft the pizza of your dreams. 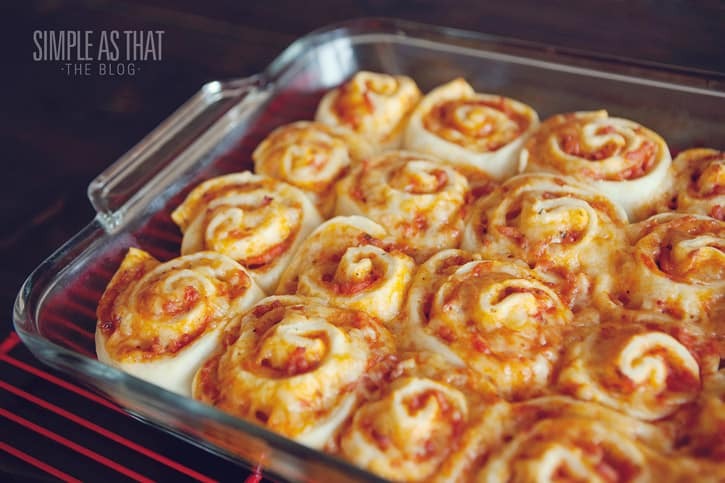 10 minutes, no cooking required, insanely easy to realize and delicious too ! 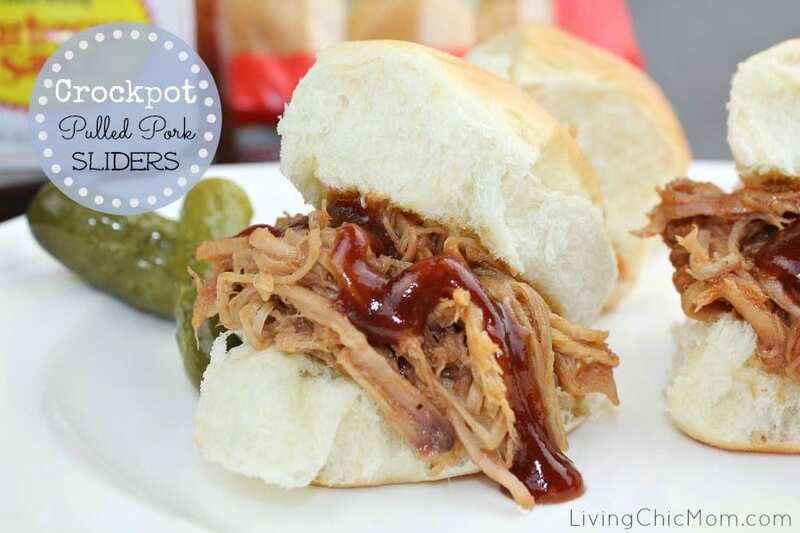 I know it sounds to good to be true so we invite you to see Lauren`s recipe on her blog. 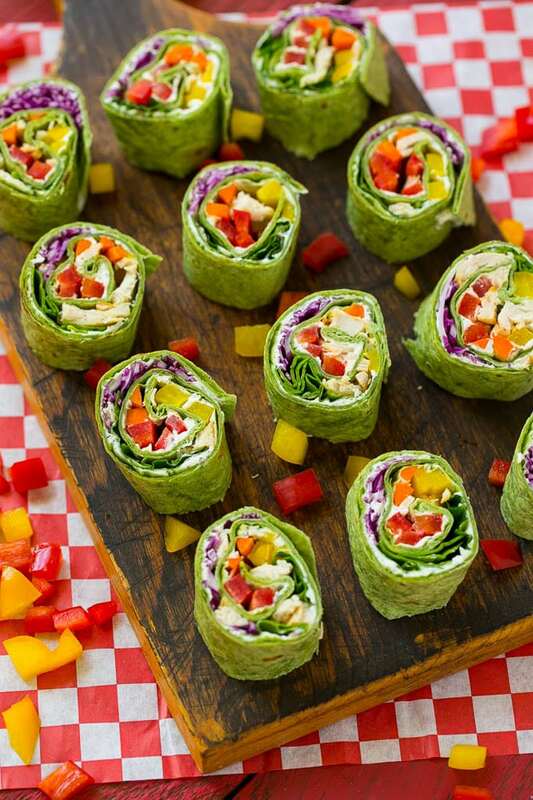 The really colorful images make great justice to this super healthy wrap ! What do you think about this list ? What look appetizing to you ? We would love to hear from you in the comment section below !